Looking for a quick handmade gift for a little girl? I have just the project for you. In as little as 45 minutes you can whip up one of these cute little buntings. • basic sewing supplies, needle, thread etc. 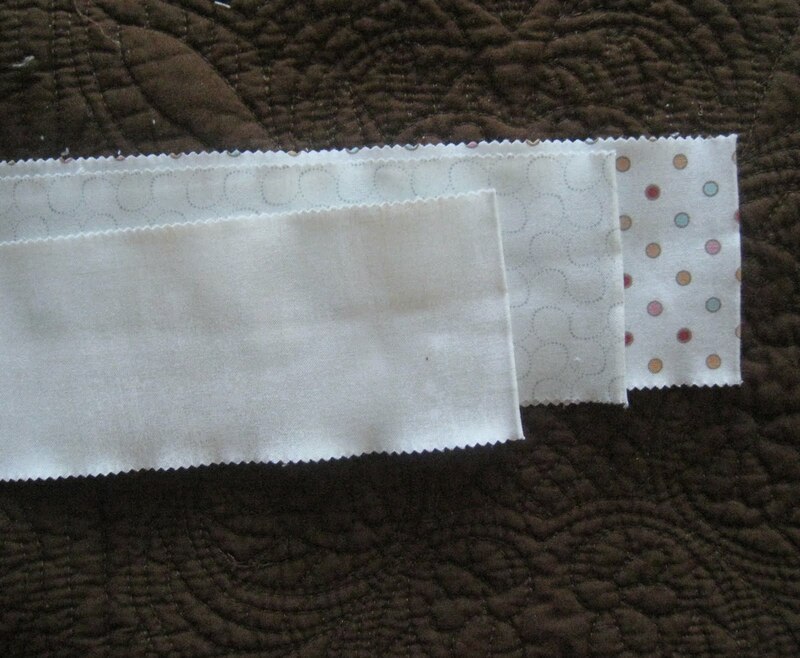 • layer lining right side up, bunting top right side down and batting as shown. 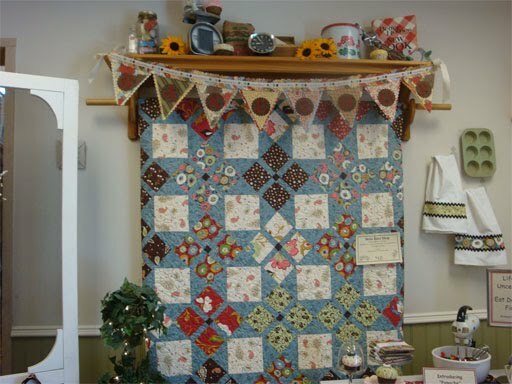 • starting in the middle of what will become your ‘bottom’ sew 1/4 seam around the perimeter of the quilt sandwich. • Stop about 4-5 inches from your starting point to leave an area for turning. 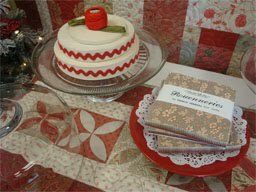 • After sewing your ‘quilt sandwich’ should look similar at the opening. • Once piece is turned, iron to smooth edges. • Pin the opening closed as shown. 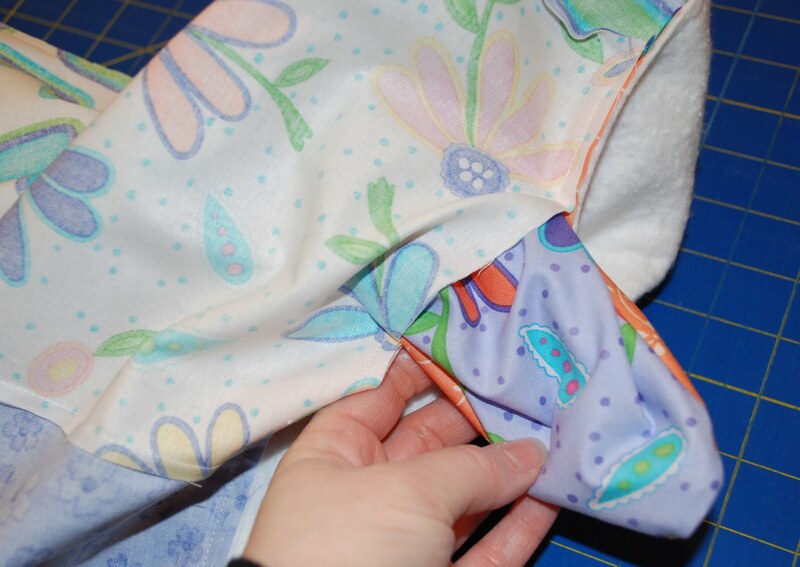 • Sew a 1/4 inch top stitch around the perimeter of the quilt being careful to catch your opening to finish the edge. • Quilt center using a walking foot to help prevent shifting. 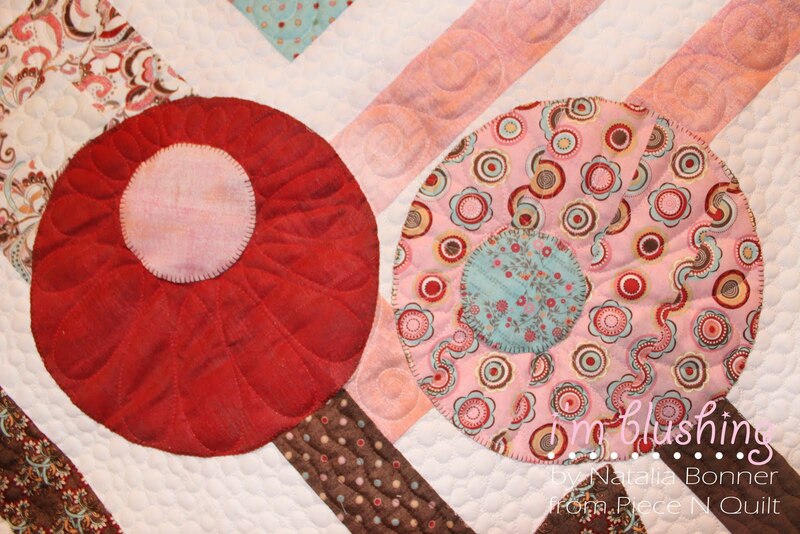 • Consider quilting an X through the centers of the rectangles or meander edge to edge. 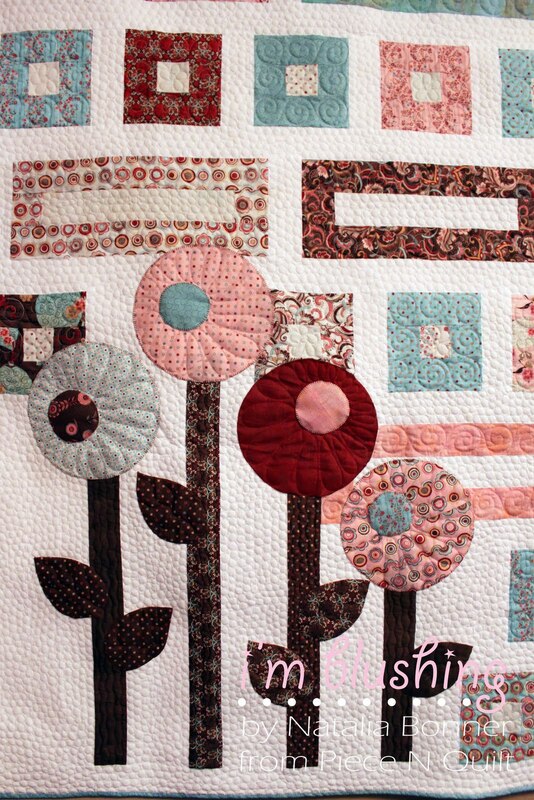 • This project would be a great way to practice your machine quilting technique. • Here’s a view of the lining. • Next lay the piece on your work surface with lining facing up. 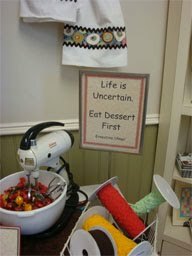 • Fold in the sides of the bunting to meet in the center. • Overlap the center front about 1/4 inch and carefully pin together about 6 inches from the top all the way to the bottom. • You do you not want to catch the fabric underneath. • Next, top stitch over your original top stitching slowly. • You do NOT want to catch the fabric underneath. 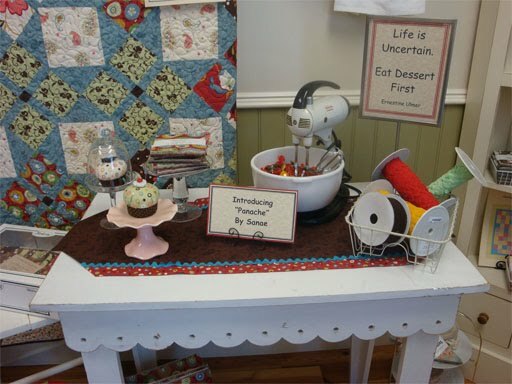 • In order to achieve this, roll the quilt piece as you stitch to ‘take up’ the bulk. 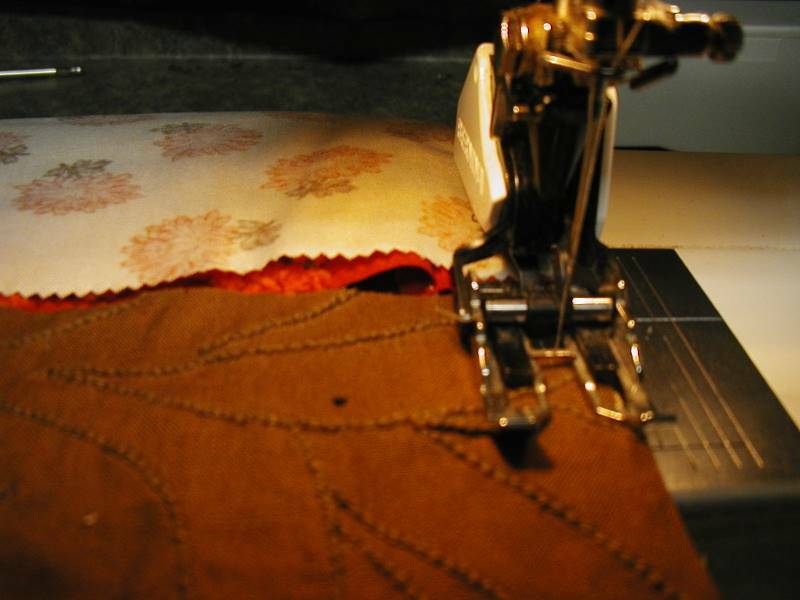 • near the top you may have to stop and stitch from the opposite direction due to the bulk of the piece. • you will end up with a ‘tube’. 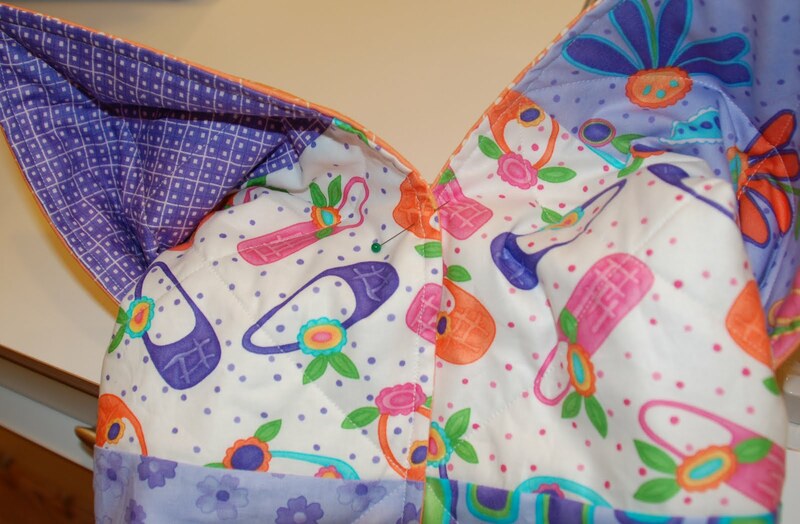 • Pin across the bottom edge and sew over the original top stitching if possible. 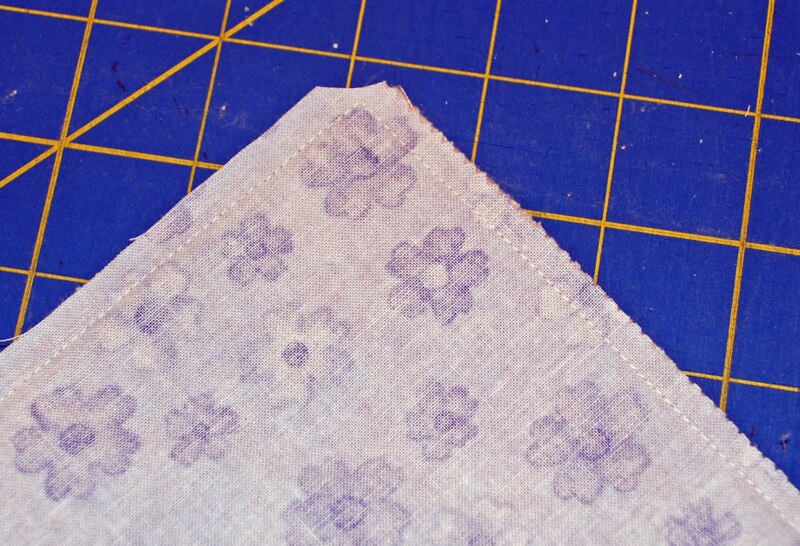 Fold down the top edge to expose the lining a bit. 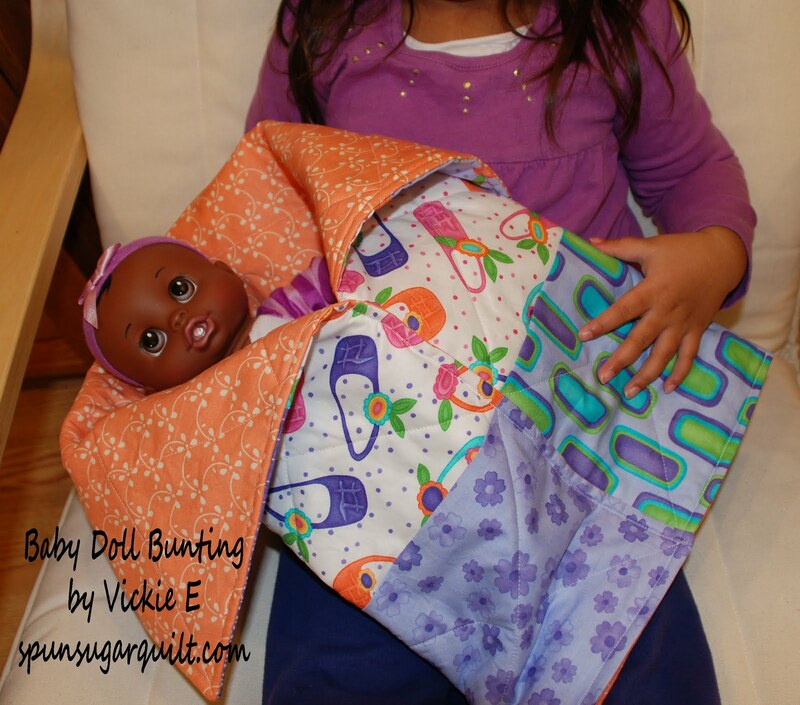 And there you have it, only 45 minutes later, a quick, easy, baby doll bunting that any little girl will love. Start by separating your jelly rolls. 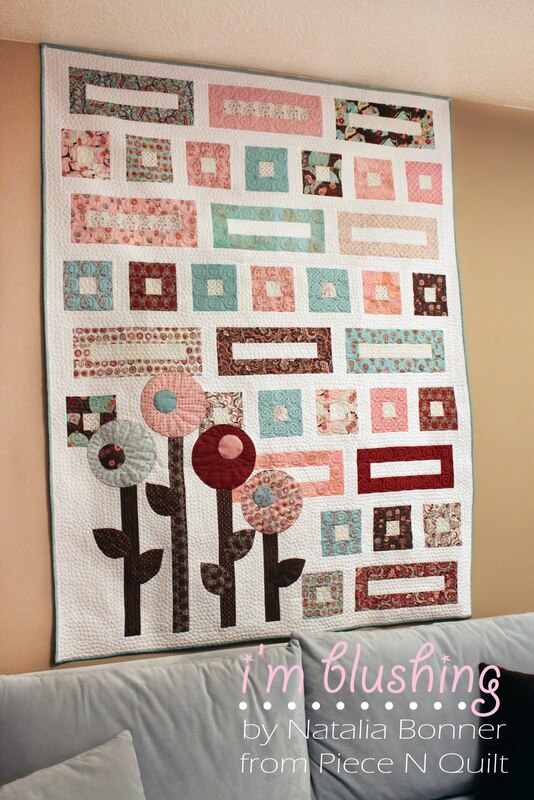 From your Blush jelly roll separate out three white prints for centers of your blocks. Separate out four prints for your flowers. Separate out 3 brown strips for the flower stems and petals. From your white prints cut 24 – 2.5″x2.5″ squares. From your prints you will create 24 blocks. 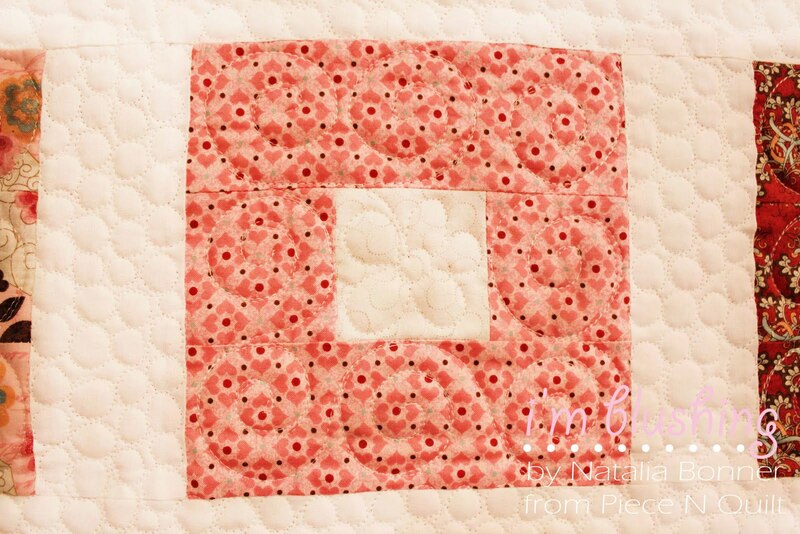 (You can make two blocks from each print) Start by sewing two 2.5″x 2.5″ blocks to each side of your white 2.5″ block. 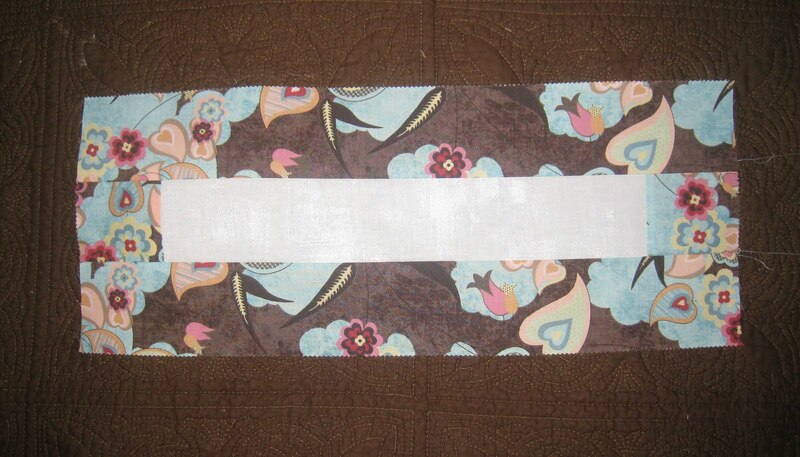 Now sew a 6.5″x 2.5″ strip to the other sides of the block to create the block above. Repeat this process until you have 24 blocks. 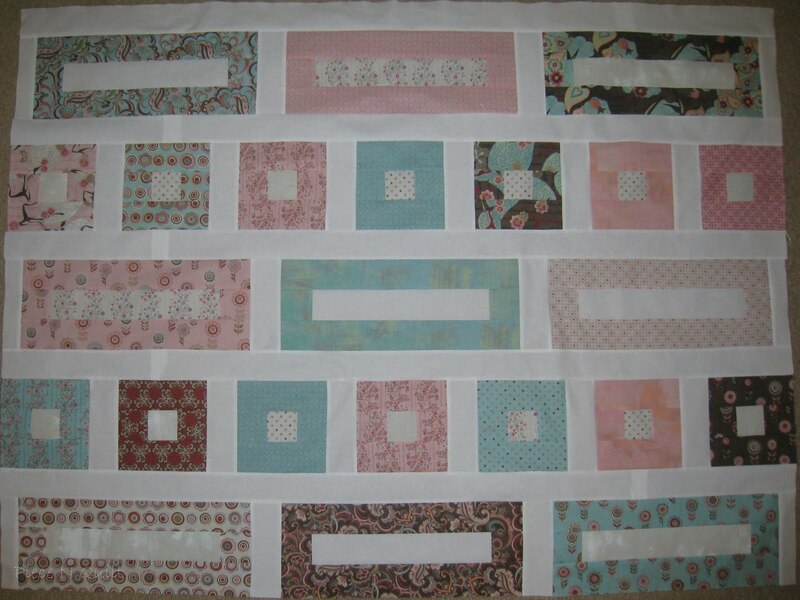 Now attach two 16.5″ strips to complete the block as shown in the image above. You will need 12 total of this block. Now for your sashing you will use your white jelly roll strips. 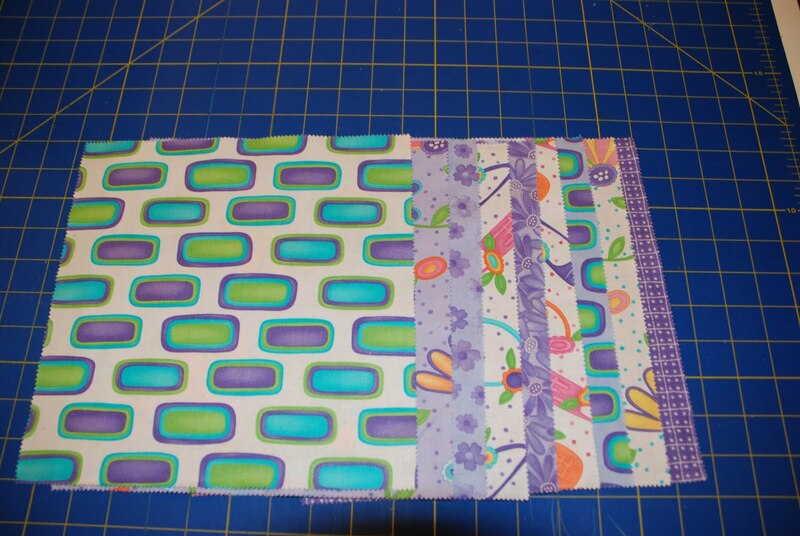 Then from your white jelly roll strips you will cut 8, 6.5″x1.5″ strips for the ends of your long block rows. 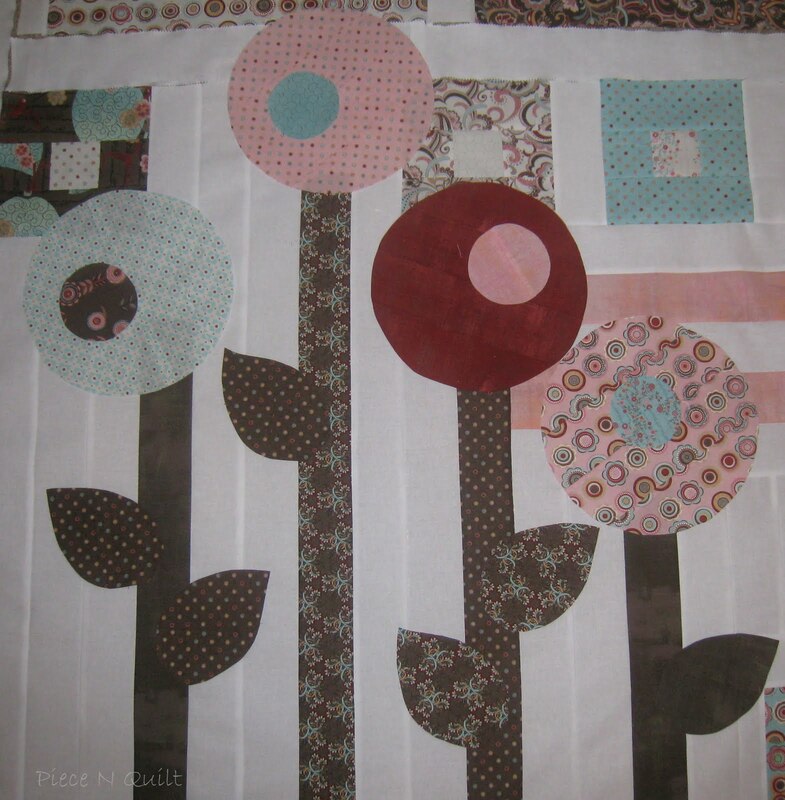 Sew all of the top portion of the quilt together as shown in the image above. 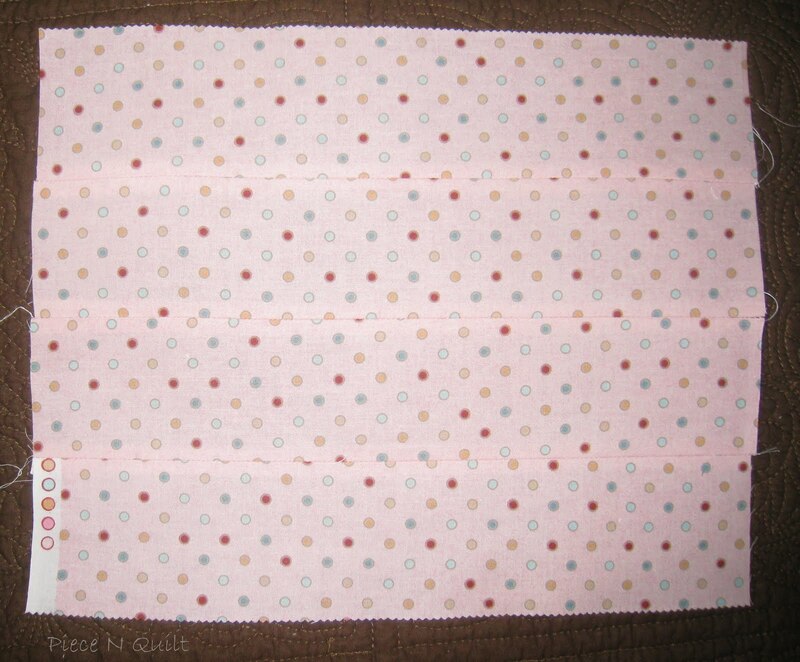 For the bottom portion start by sewing 3, 24.5″ strips together side by side. The sew one square block to the top of that strip. 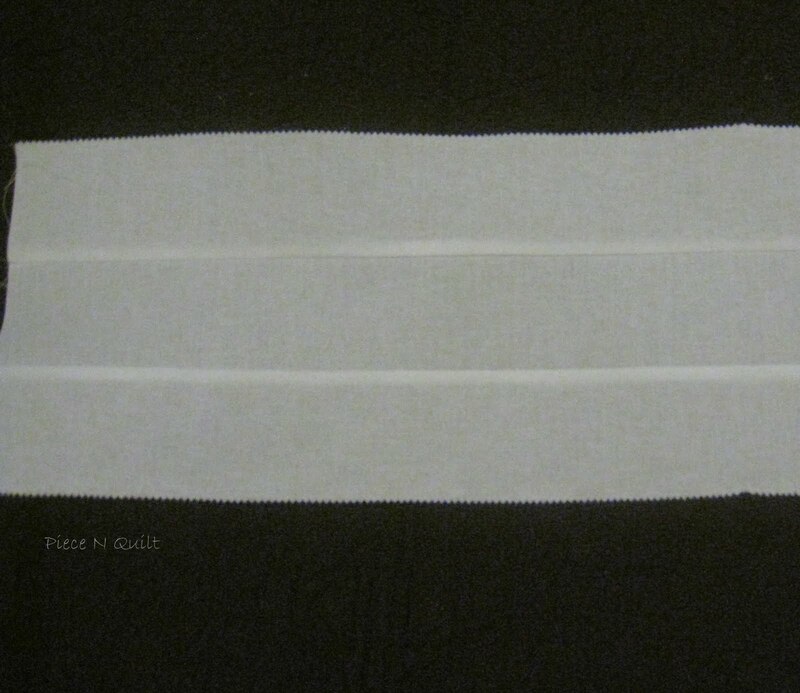 Then sew two white strips that are 30.5″ side by side as shown in the image above. 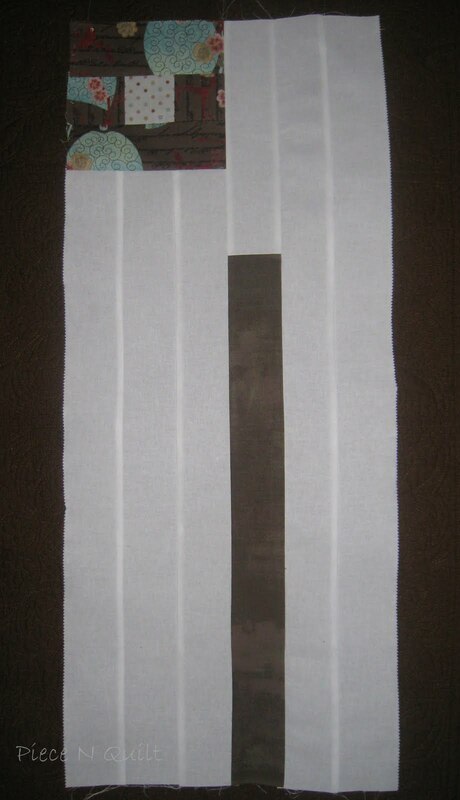 Now add a brown strip that is 26.5″ with a white strip that is 4.5″ next to a 30.5″ white strip as shown in the image above. 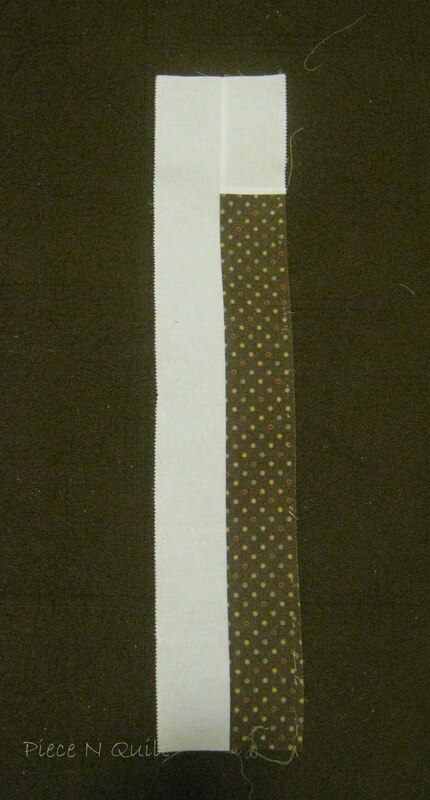 Now sew together a 18.5″ brown strip with a 4.5″ white strip on the top. 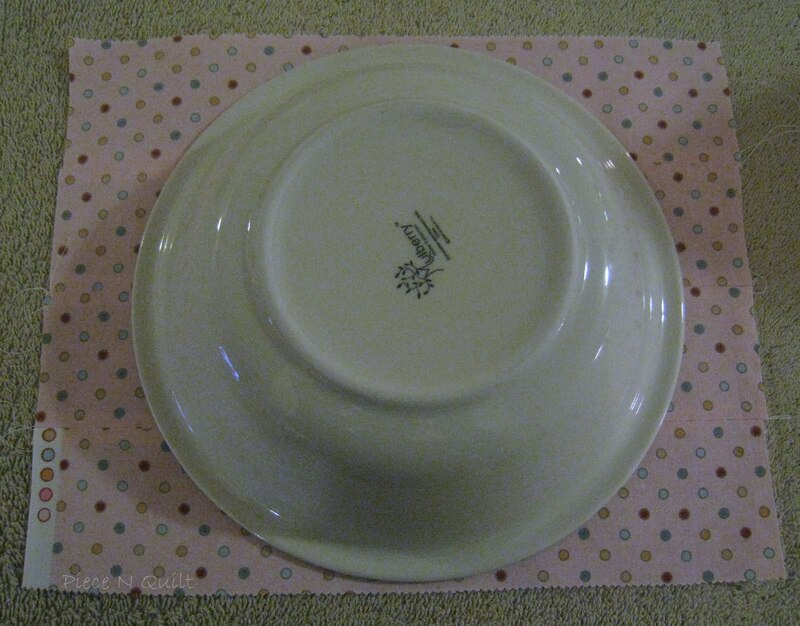 Sew a 22.5″ white strip to the side of that creating a piece that looks like the image above. 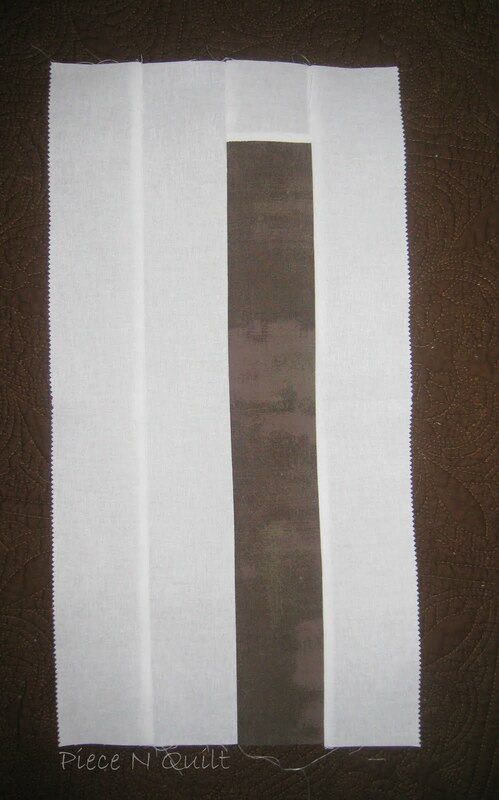 For the 4th stem you will first sew a 14.5″ brown strip to a 2.5″ white strip. Then add two 16.5″ white strips to the left side and one to the right side. 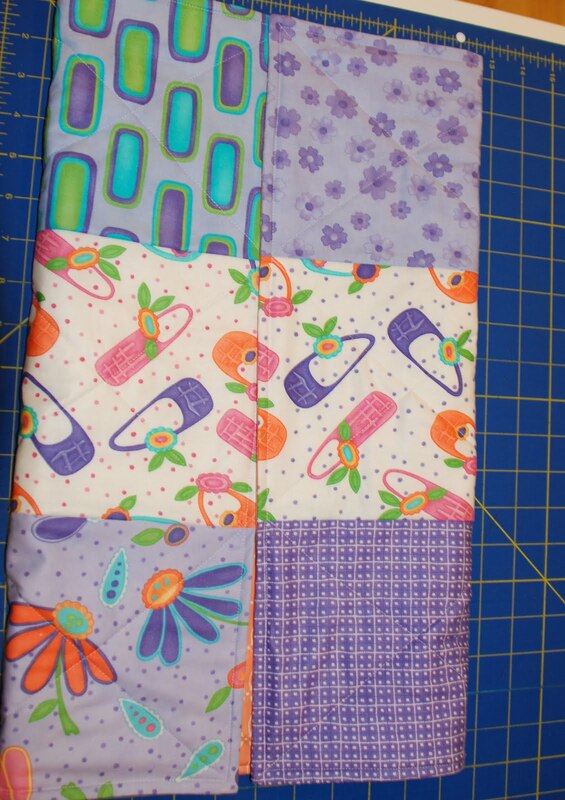 Now you will sew the bottom section of blocks together as shown in the image above. You should now have 5 sections for the bottom portion, as shown in the image above. Sew them together in sections. First attach stem four to the lower blocks. Then attach the rectangle bocks to the top of that section. 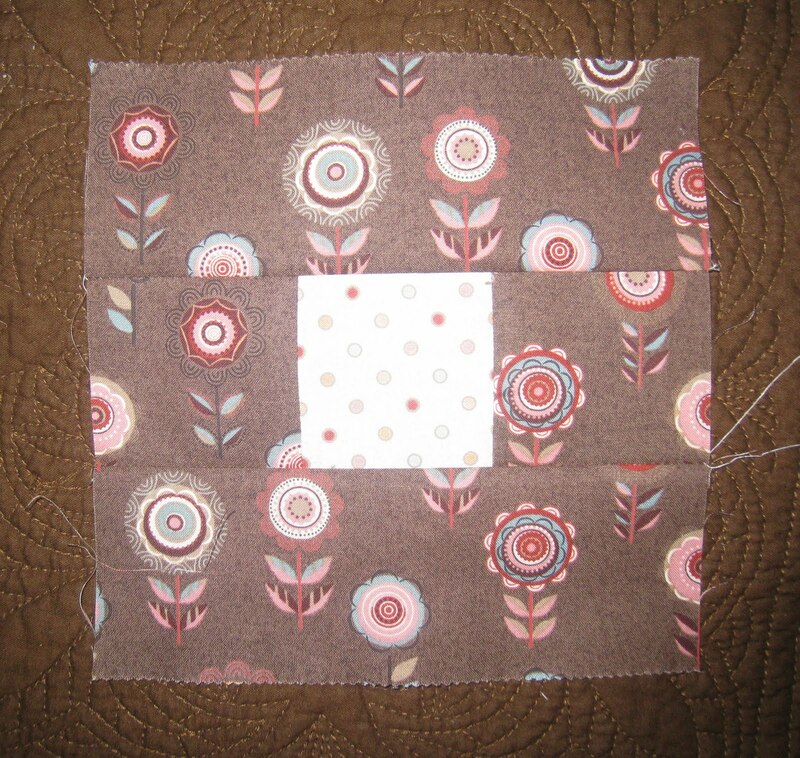 Now sew the 3rd stem to the block section, attach the square blocks to the top of the right portion. Last attach the first two stems and you should have a bottom section that looks like the image above. I now add my applique to this bottom portion before sewing the top and bottom portions together. For me it’s just less bulk to put through the machine. 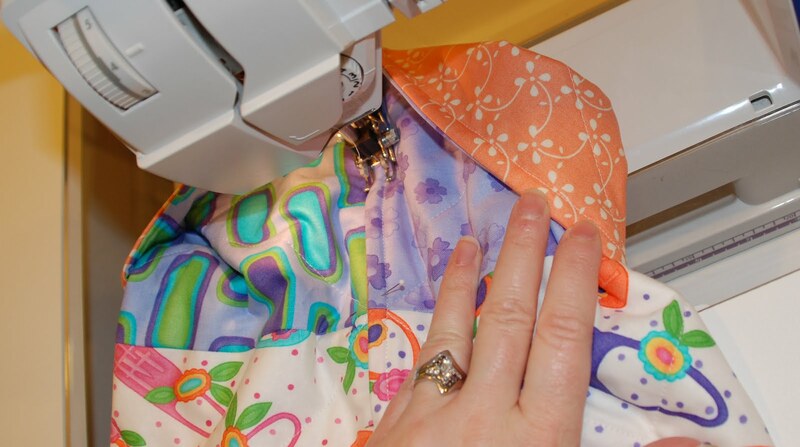 For the applique you will take the 4 prints that you set aside at the beginning. 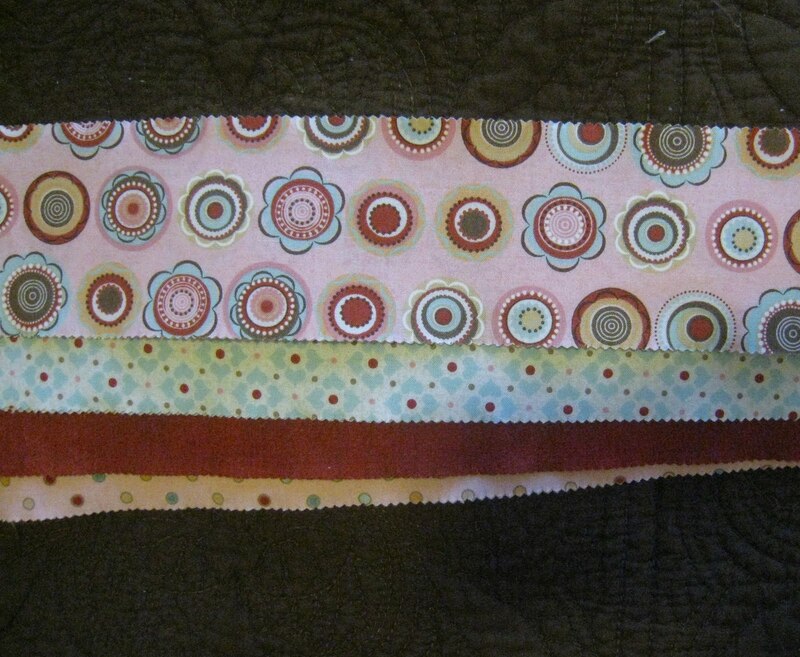 Now, cut those strips into 1/4ths and sew them back together side by side creating a square. As shown in the image above. For my circle flower I like to use a bowl to for my shape. 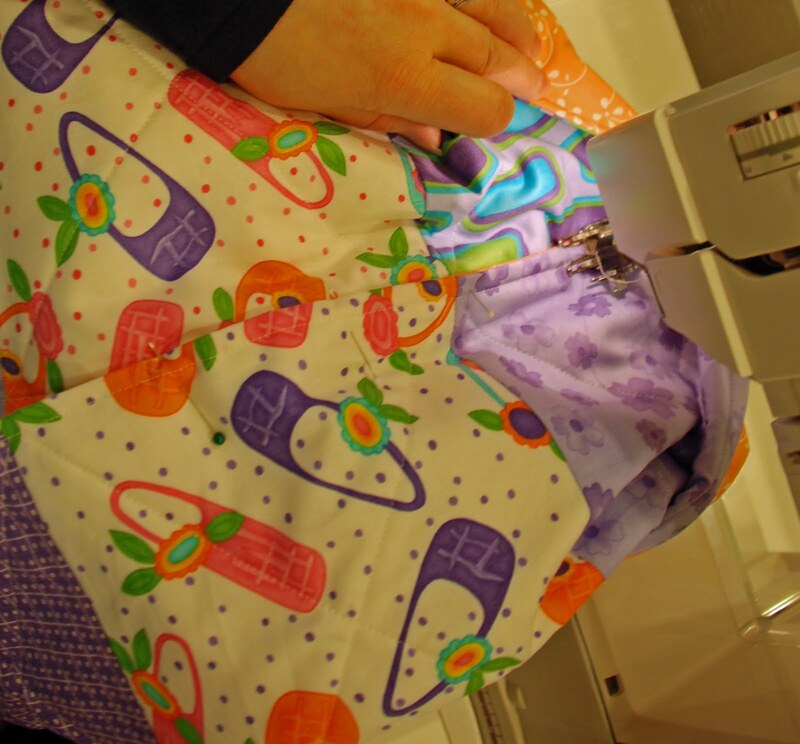 Then refer to my starch applique tutorial to see my quick way of adding applique with no fusible. Repeat this process with some scraps for the small circle centers. I used a cup for my template, perfect size. 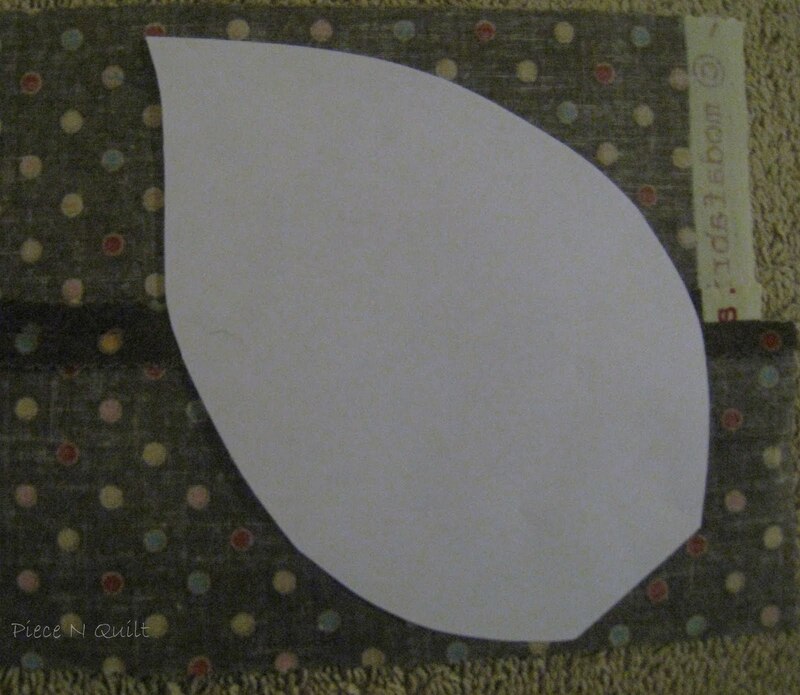 For the leaves on the applique cut out a shape like the petal above and cut out 6 leaves. (There should be enough brown scraps for all six leaves. Use the image above to refer to for applique placement. 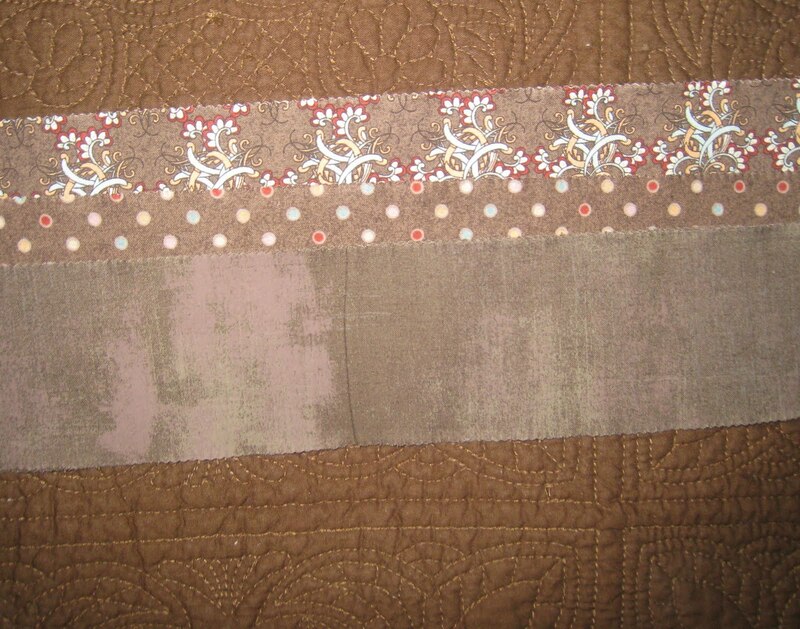 I used a blanket stitch and brown thread to applique by machine. Sew the top and bottom portions together. 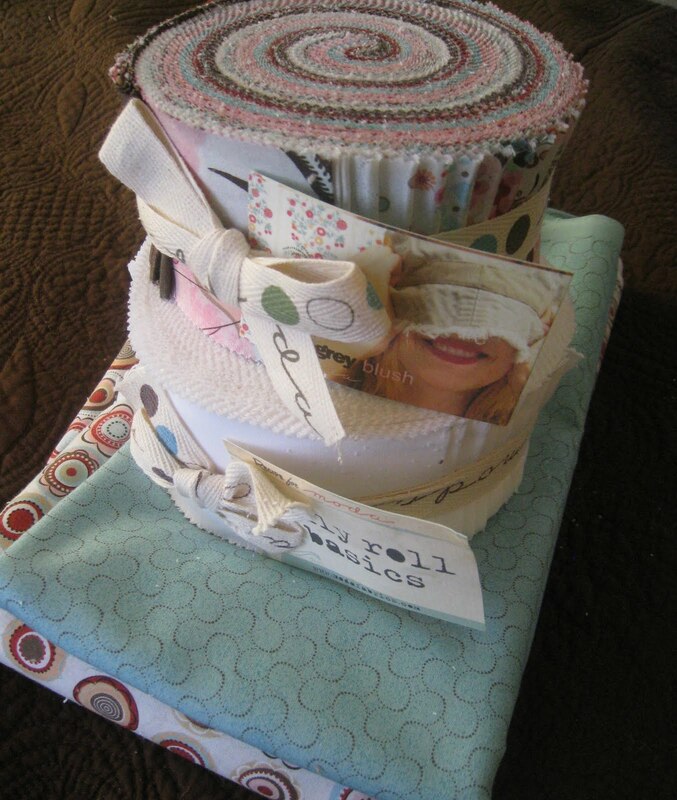 Add a white border using your white jelly roll strips. 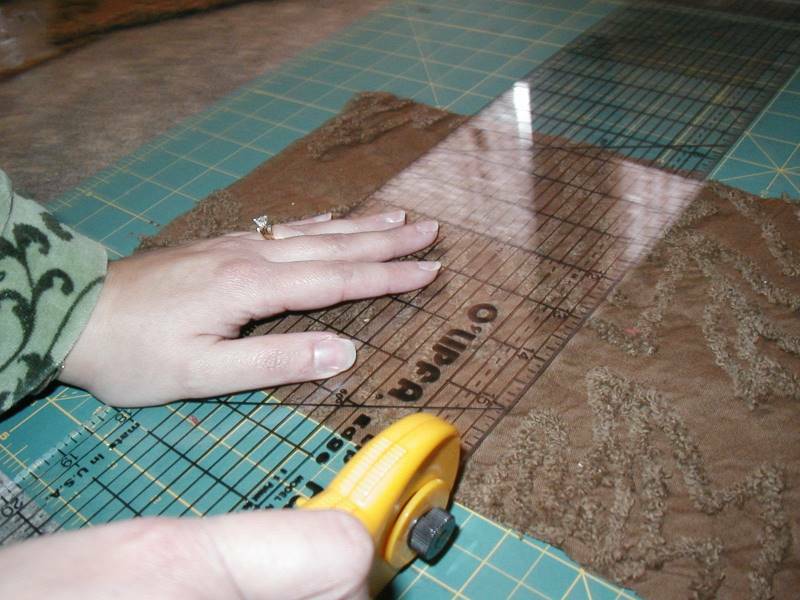 Don’t forget to stop by my blog to see more of my fun tutorials using precut fabrics. 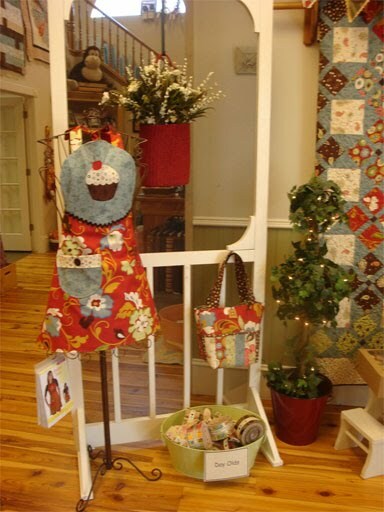 Also stop by Piece N Quilt, use discount code ‘modabakeshop’ and save 10% off your total purchase! First, cut your focus fabric. Trim off the selvage edges and square up the ends. The center panel measures 43″ x 63″. 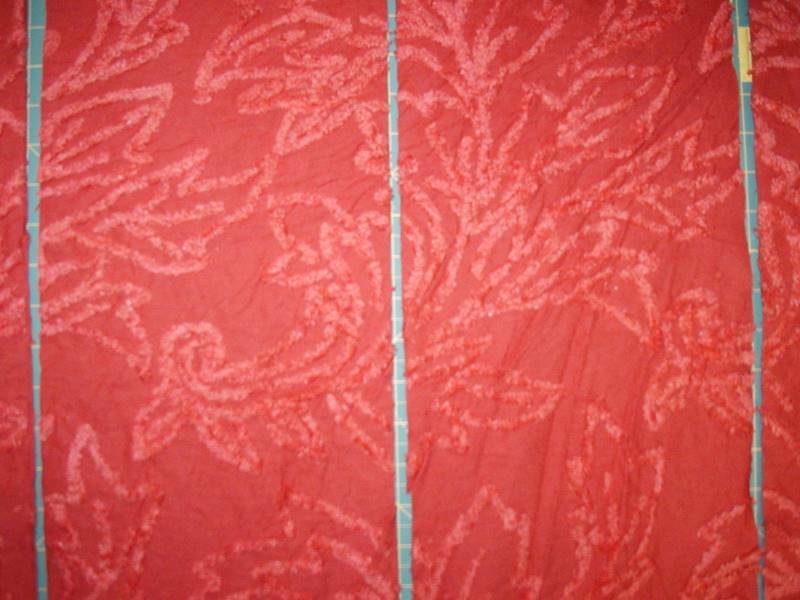 From the background fabric, cut 2 pieces 4″ x 63″. 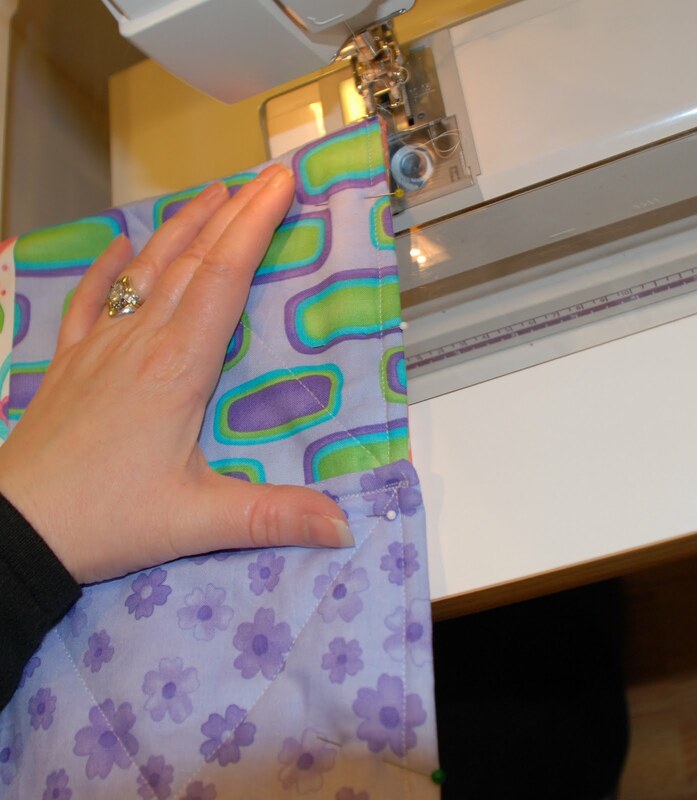 Sew to the sides of your center panels, press your seams. Cut 2 pieces of 4″ x 50″. 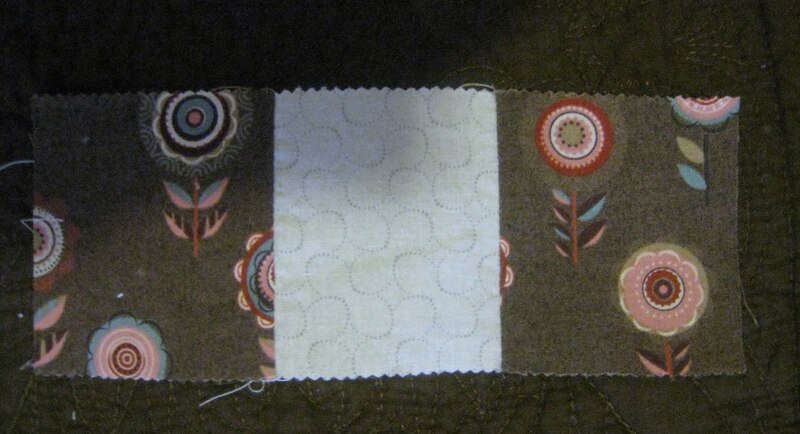 Sew to the top and the bottom of your center panel. Trim any excess. 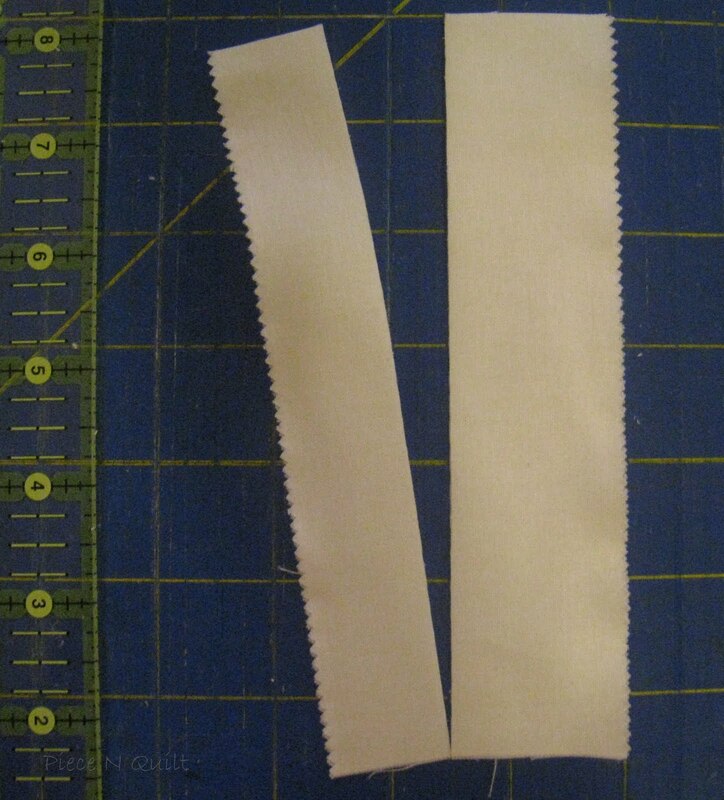 (there should be about 1/2″ extra, depending on how exact your seam allowance is.) Press well. The first border is complete. 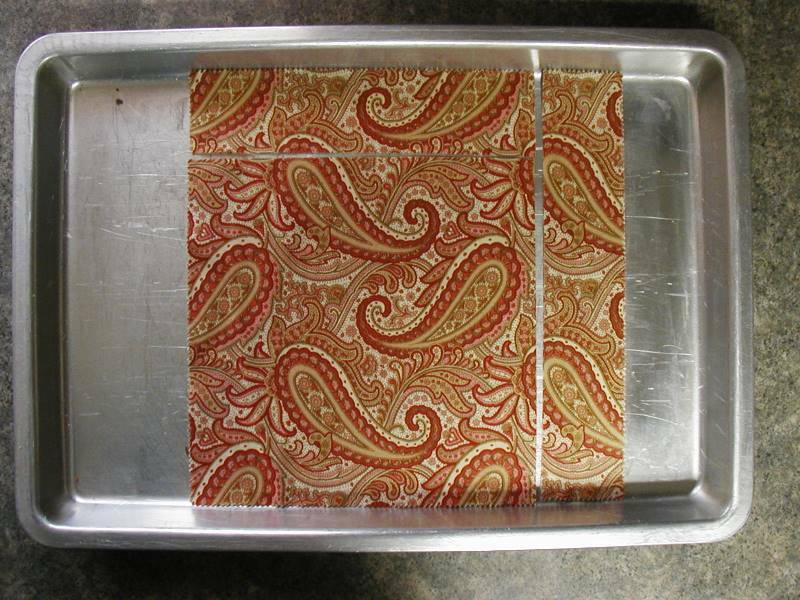 Take 7 squares from the layer cake and cut each piece into 4 strips—each 2.5″ wide, for a total of 28 strips. These will be for the next border. 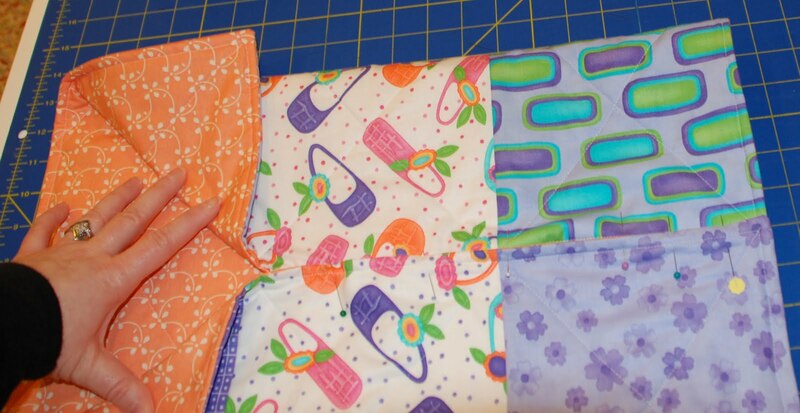 Mix up the fabrics so they will be placed randomly around the quilt. Join 6 strips of fabric end to end. Make 2. Join 8 strips of fabric end to end. Make 2. Press all seams. Attach these borders to the sides of the quilt first, centering them along the edge, cutting off the excess after sewing the border on. 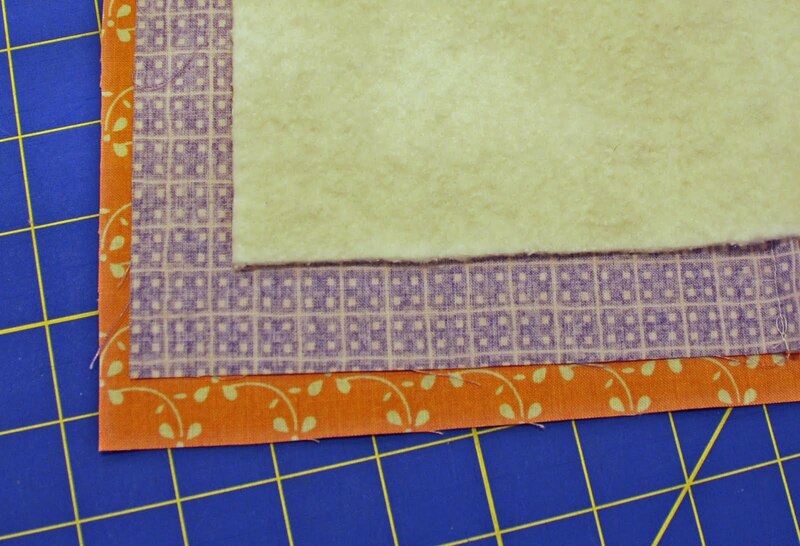 Then attach the top and bottom borders, again centering them and then cutting off the excess. Now, to finish off the quilt, cut 6″ strips for the final border. 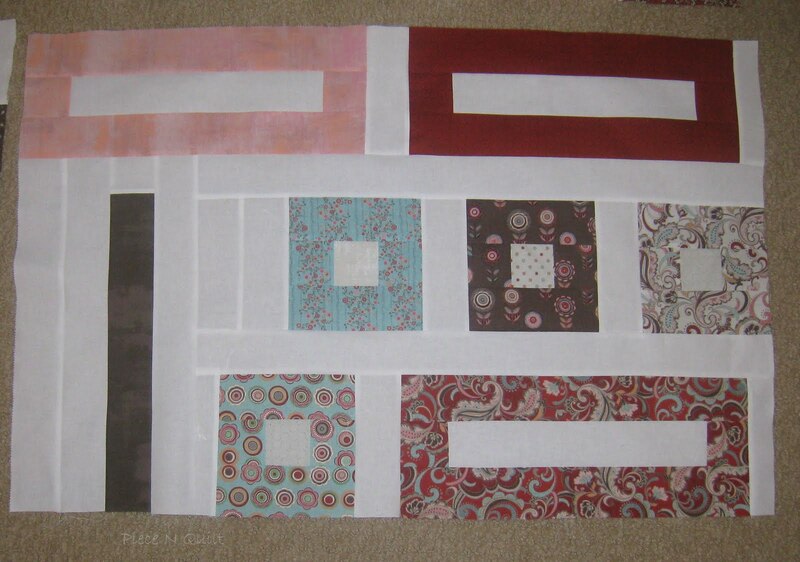 I cut two pieces 53″ x 6″ for my quilt, but you will want to measure your own quilt top at this point. 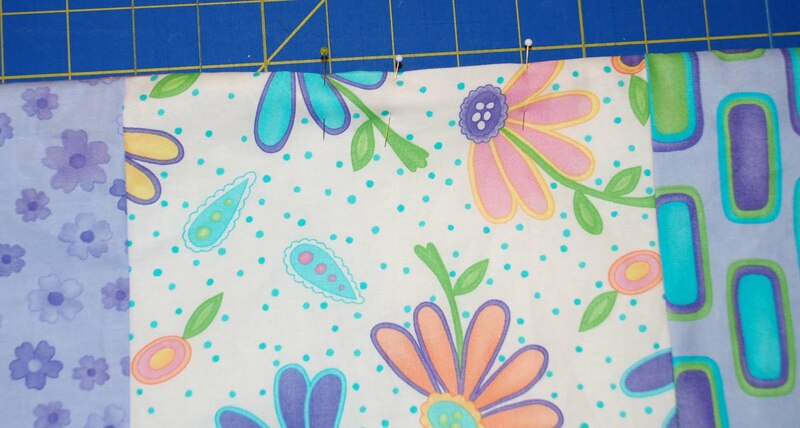 When you measure, measure in the center or your quilt, not at the outside edge. This will help prevent wavy borders. Each person’s seam allowances will cause these lengths to vary, that is why I’m recommending this method. My final two borders measured 6″ x 88″. Again, you will want to measure your own quilt at this point for the exact measurement that you will need. 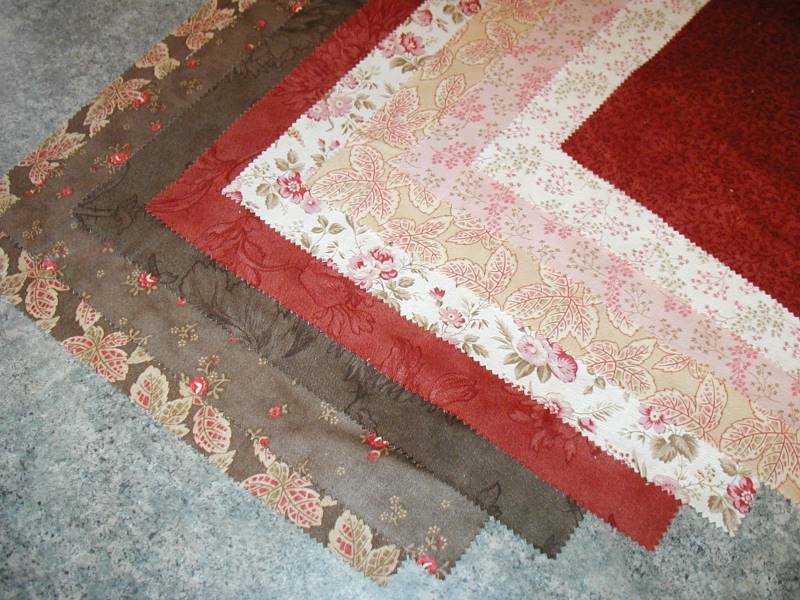 After attaching borders, press all seams and the top of your quilt is done! Easy enough, right? I like to make a pieced backing for my quilts, so I added a little checkerboard to the top and the bottom of the quilt using more of the layer cake pieces. 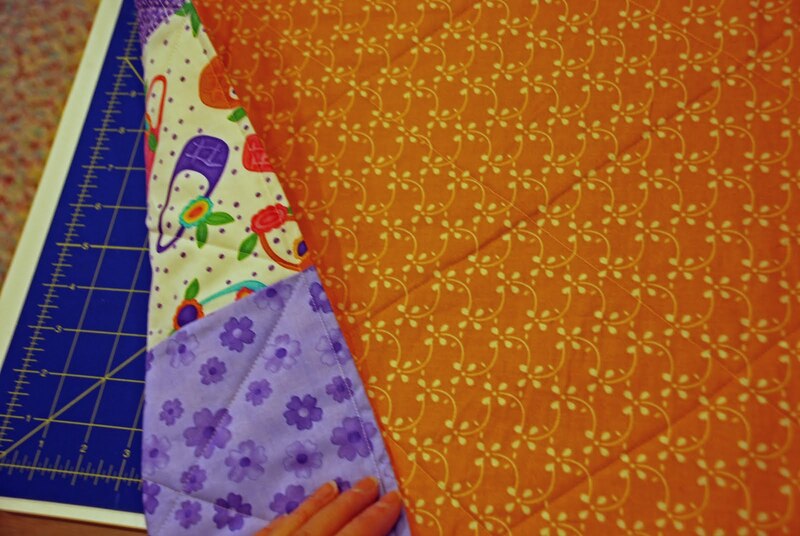 Of course you can skip this step and back the quilt with one fabric if you would like. 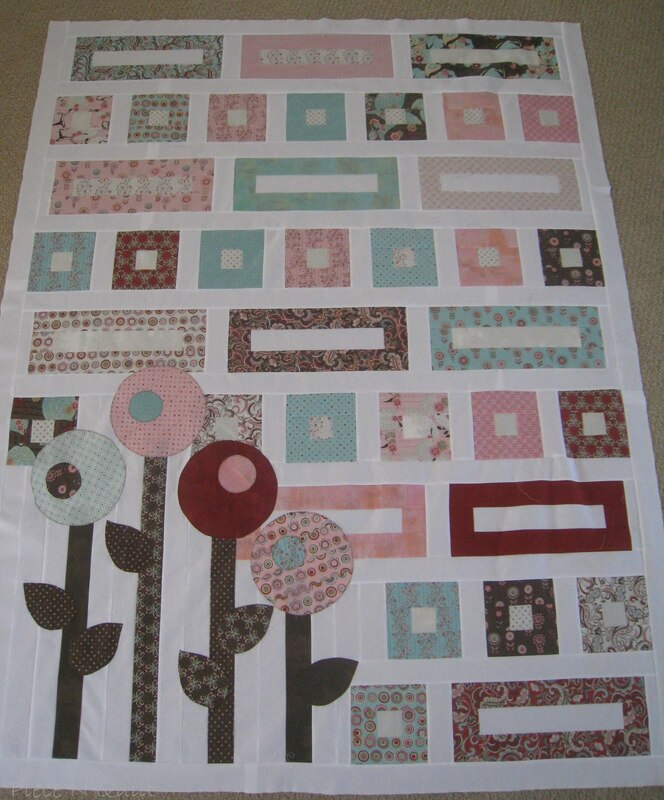 To make the pieced back, cut one piece 40″ x 68″ from the background fabric. This will be the center panel of the back. 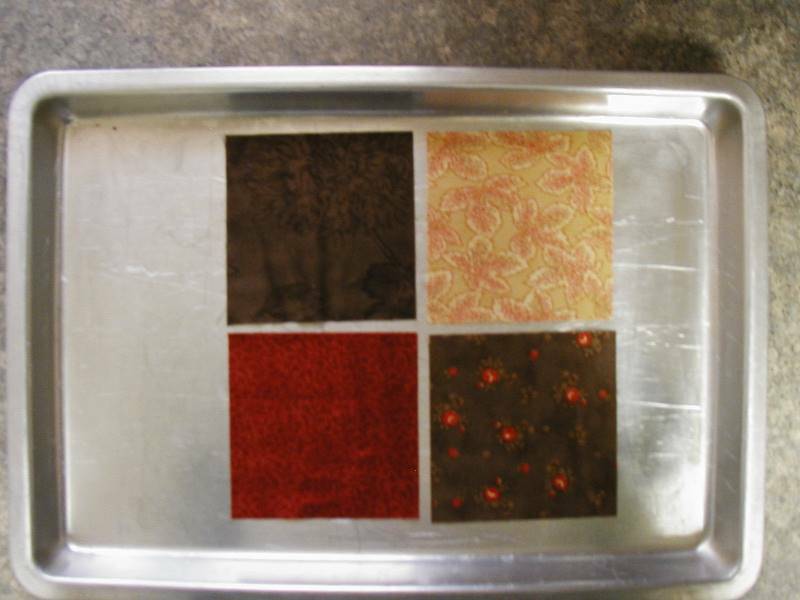 Select 12 layer cake pieces and cut them into quarters to make 48 5″ squares. (You will have 2 extra.) Also, cut 44 5″ squares from the background color. Assemble them to make a checkerboard 3 blocks high and 15 blocks wide. Make 2. Attach to the checkerboard strips to the top and the bottom of the center panel. Cut two more pieces of background fabric 11″ x 68″. Attach to the top and the bottom of the checkerboard strips. Press well and you are ready to baste your quilt. 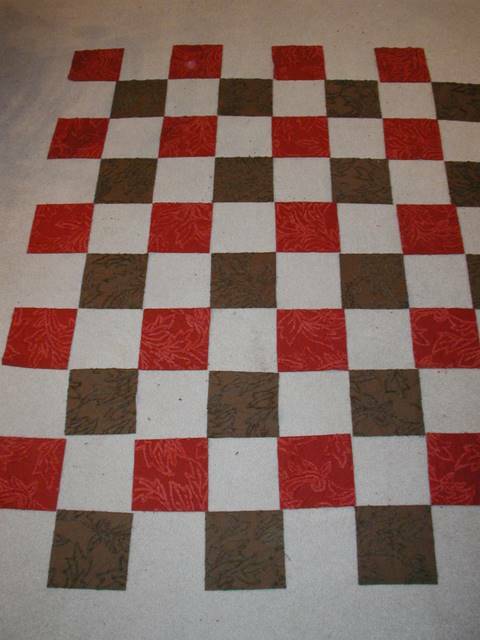 I baste my quilts on a tile floor which has a built in grid. 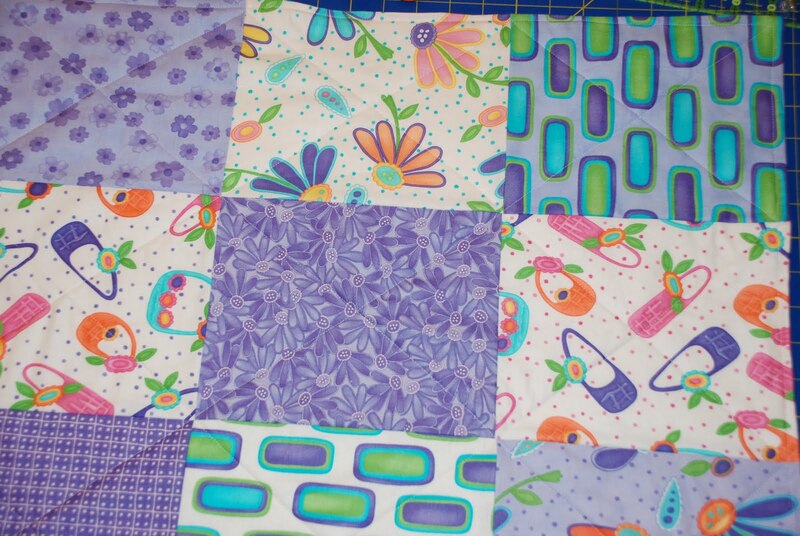 It makes it easier to center the front and back of the quilt while keeping everything fairly square. It’s especially helpful in cases like this where both the front and the back are pieced. 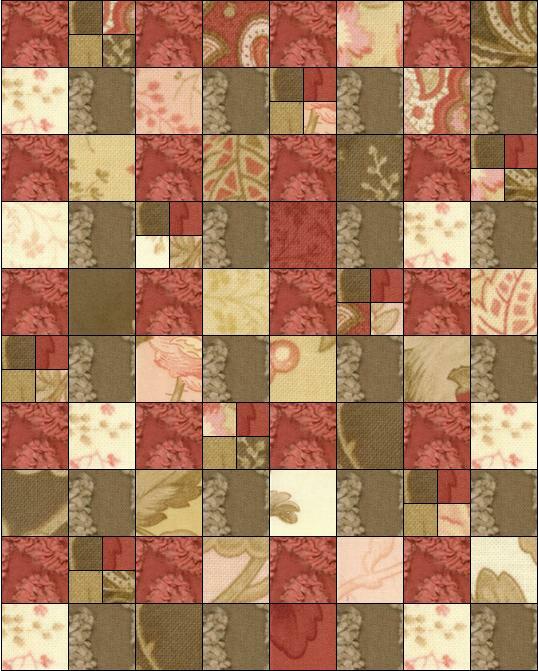 To quilt this, I did an all over meander in a sand colored thread. 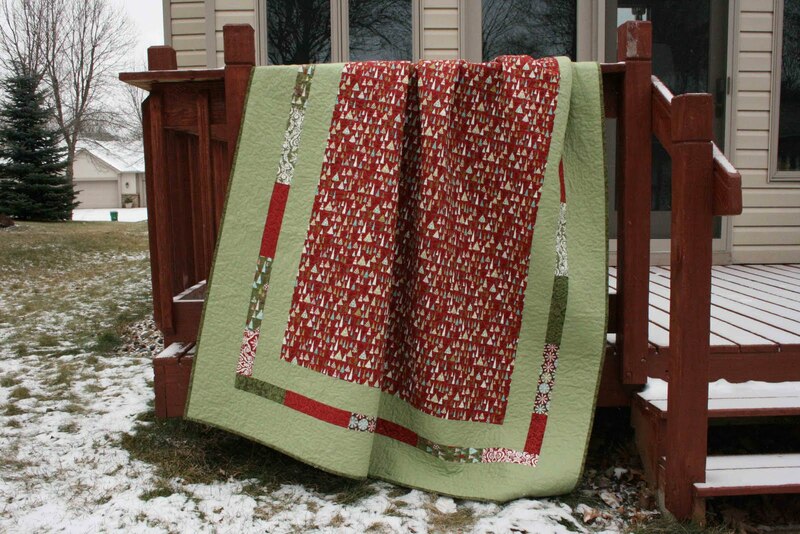 A two sided Christmas quilt that measures 64″ x 88″. Large enough to use on a twin sized bed or perfect for snuggling on the couch. Hello! 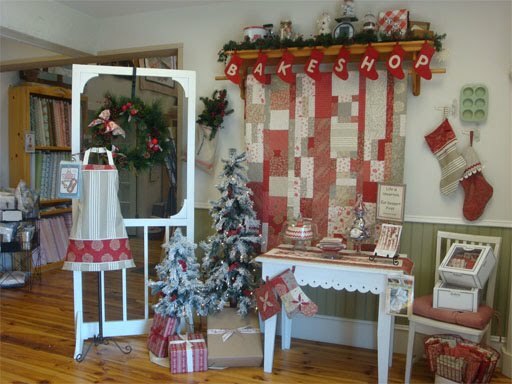 I’m Julie Geiger, owner of Prairie Point Junction Quilt Shop in Cozad, Nebraska. 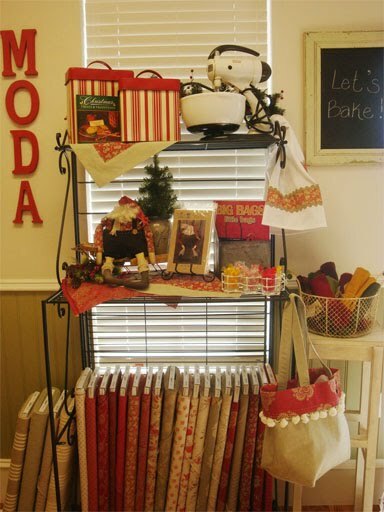 I’m so excited to be sharing my first Moda Bake Shop Project with you. 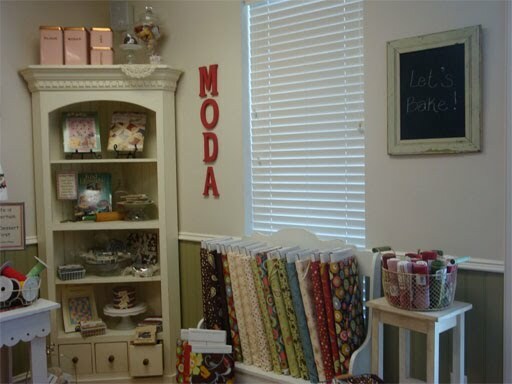 The very first fabric sales rep that I ever visited with when I opened my shop 11 years ago was Pat Tweedy, from Moda fabrics. 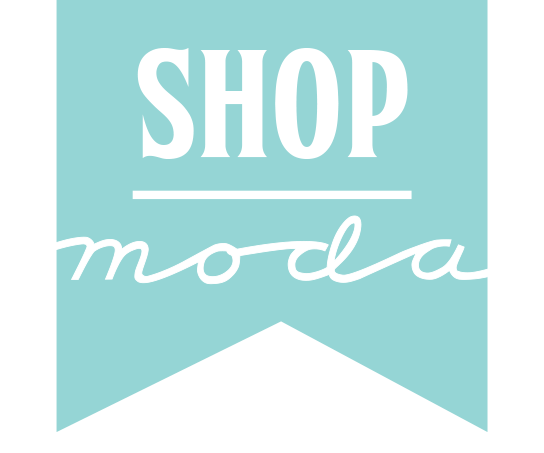 Moda has had a special place in my heart ever since. 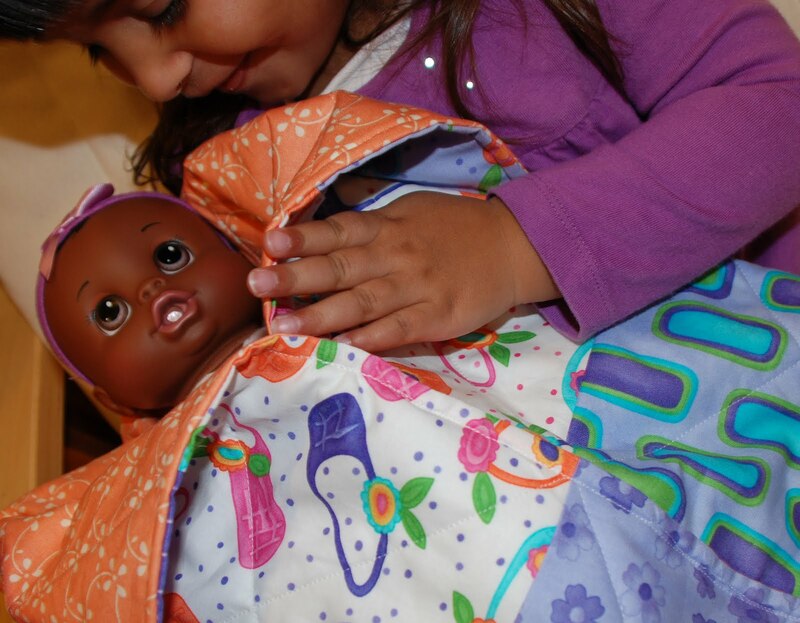 I know you’ll love working with their fabrics just as much as I have. The Chenille Cuddler is as simple as it is pretty. I just couldn’t resist the gorgeous chenille in this line. Want it even easier? 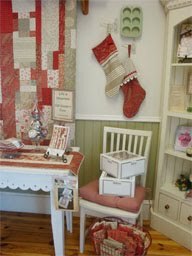 Visit my shops’ website for kits for this project. 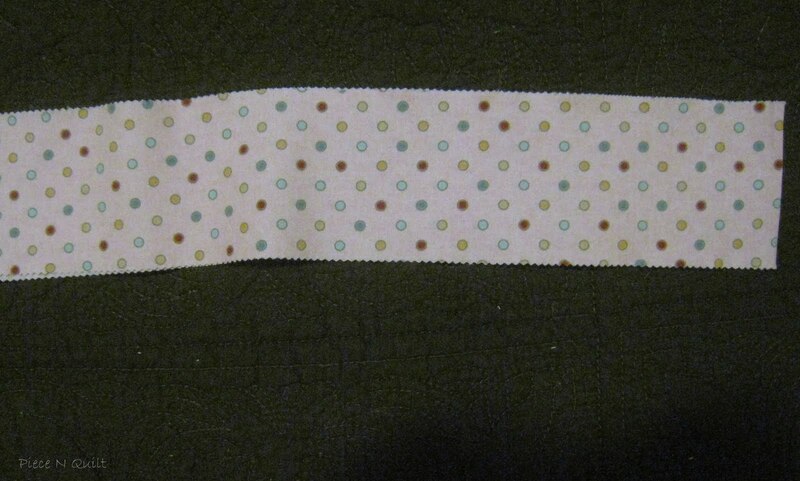 *See notes in ( ) for cutting instructions if using fat quarters and charms. 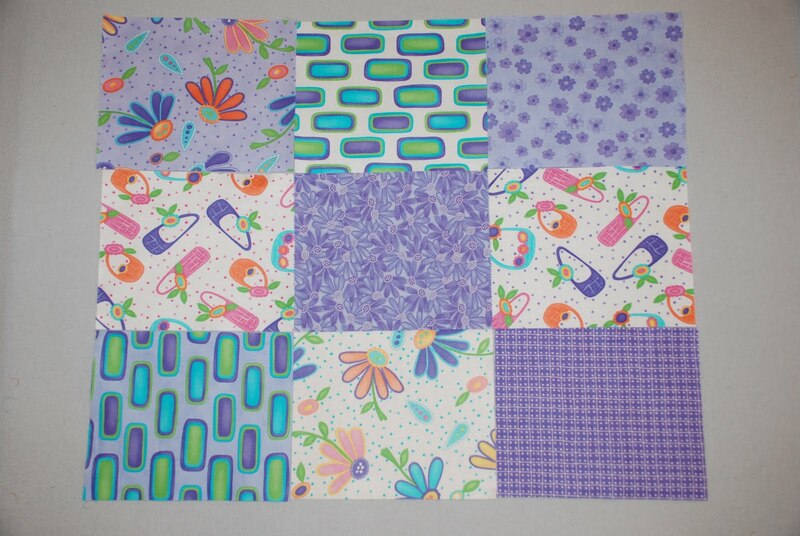 Step 1: Select nine of the 10″ squares to make the four-patch blocks. 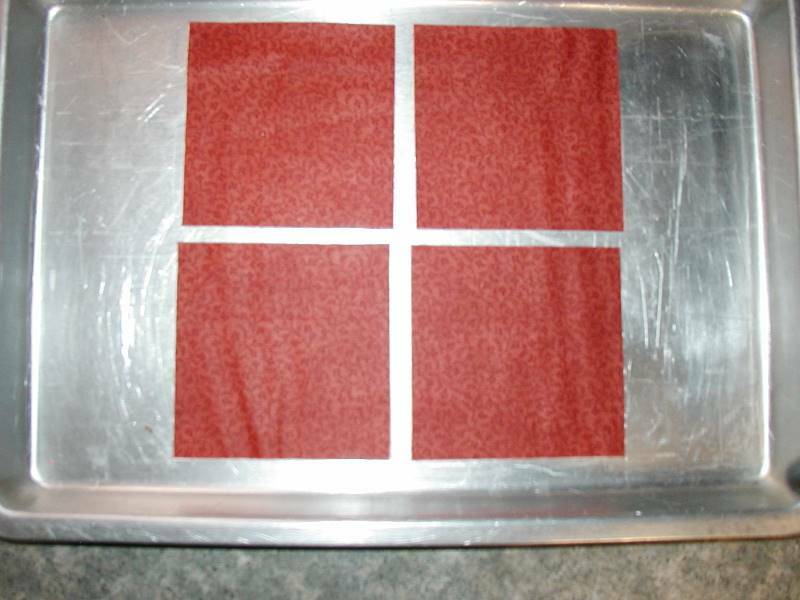 Step 2: Cut each of the nine squares into four 4 1/4″ x 4 1/4″ squares, for a total of thirty-six 4 1/4″ squares. 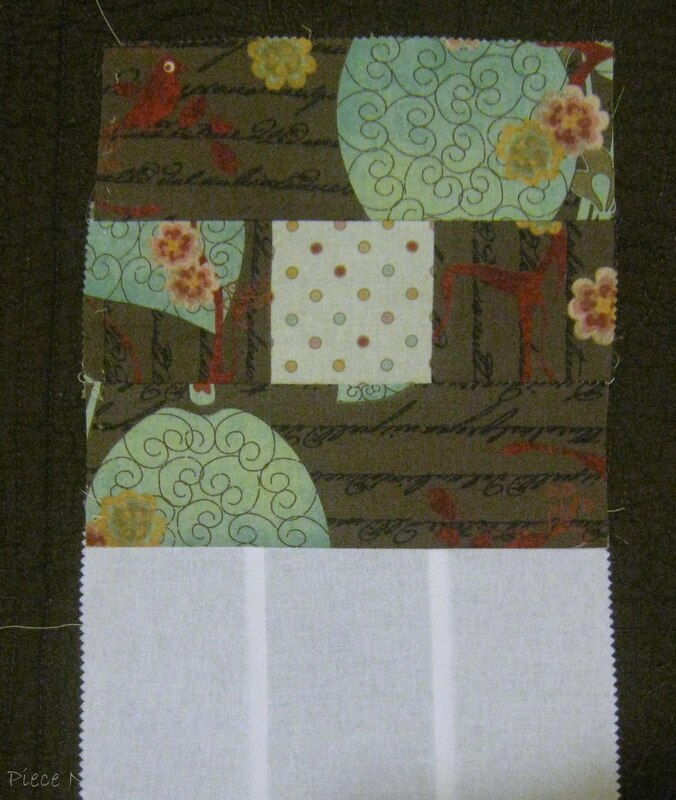 Step 3: Arrange the 4 1/4″ squares of fabric for the four-patches as desired. Mix and match the fabrics for a scrappy look. 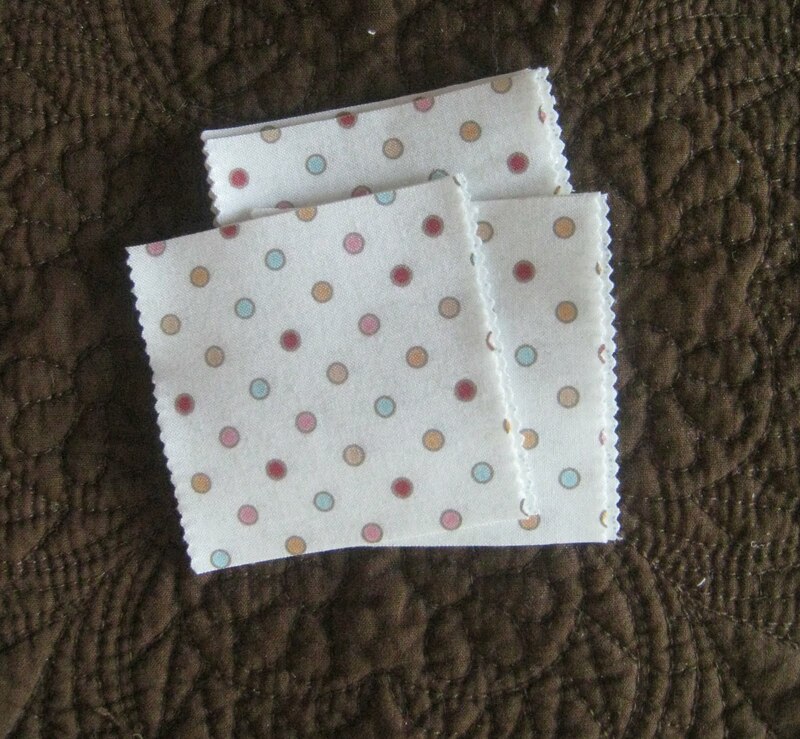 Step 4: Sew two of the 4 1/4″ squares right sides together to form a two-patch unit. Press seams in opposite directions. Repeat to make 9 sets of two units each. Step 5: Join units together to form a four-patch. Repeat to make nine four-patch blocks. Blocks should measure 8″ x 8″ at this step. 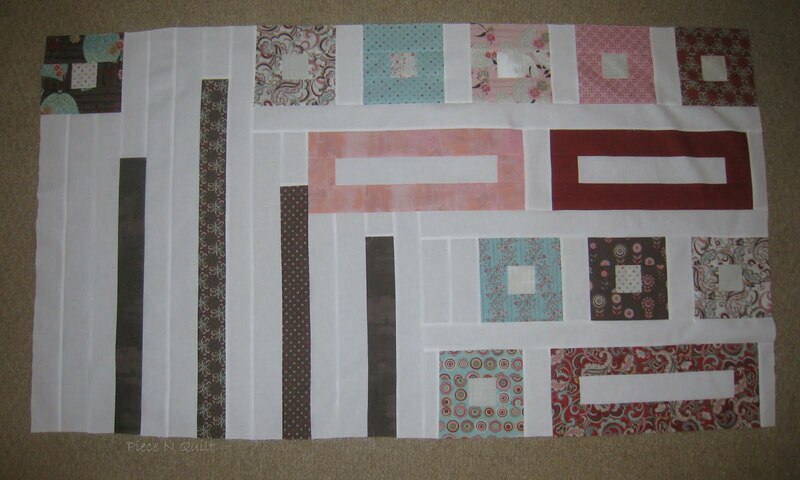 Step 6: Trim the thirty-one remaining 10″ squares down to 8″ x 8″. The most efficient way to do this is to trim a 2″ strip from the side of the 10″ square, then trim a 2″ strip from the top of the 10″ square. 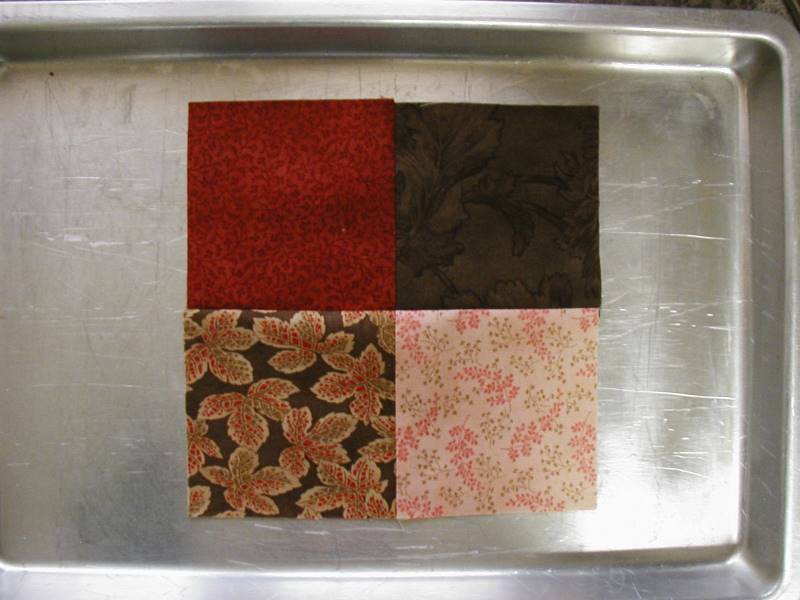 This gives you a great set of uniform scraps to use for future projects. (Think “make-your-own-honey-buns”). Step 7: Get out your fabulous chenille and admire it. (No really – it is that beautiful – you truly must admire it before you cut it into squares). 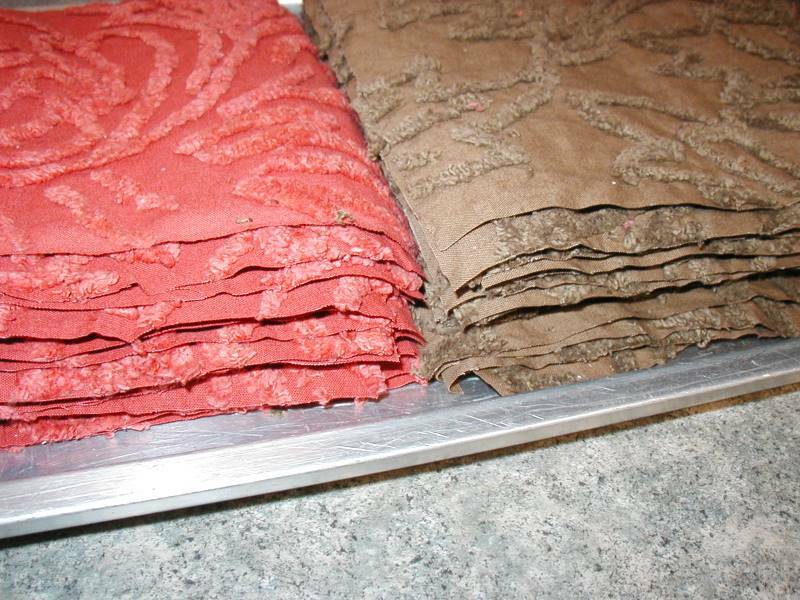 Step 8: Cut each color of chenille into four 8″ x approximately 41″ strips. 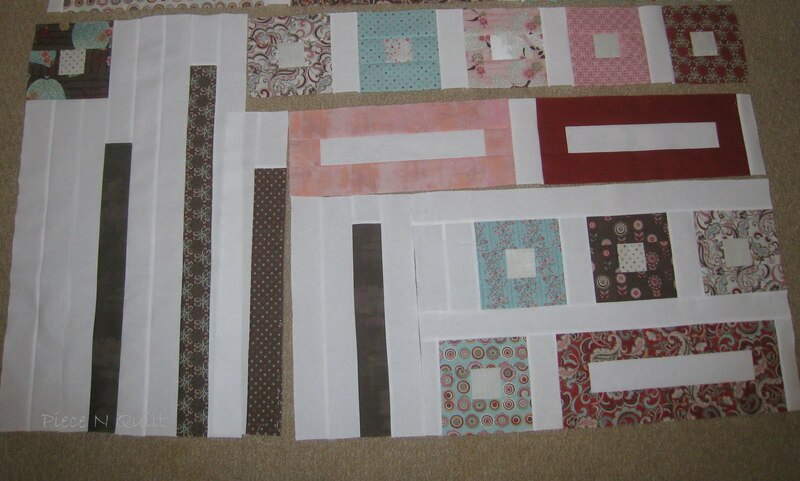 Step 10: Arrange the 8″ chenille squares, the 8″ print squares, and the four-patch units as shown in the two photos below. You will have 8 blocks across and 10 blocks down. 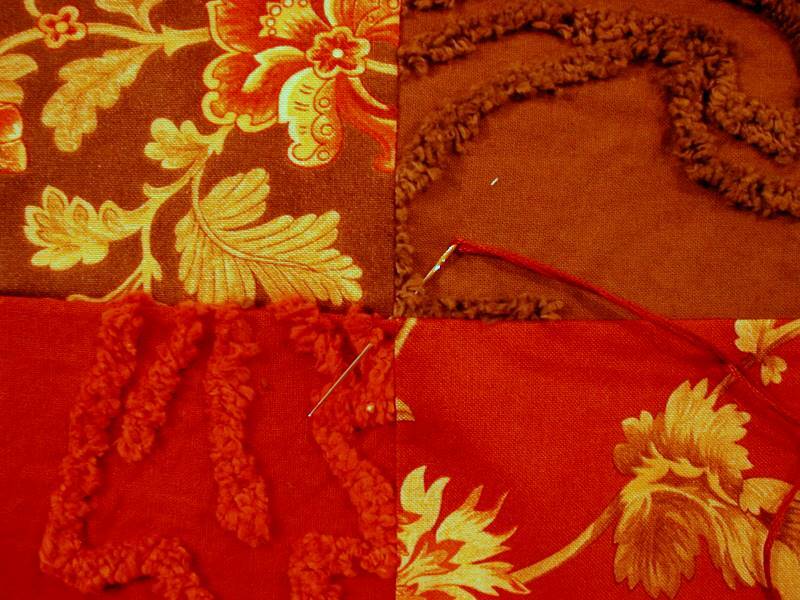 My trick for simplifying the planning is to lay out the crimson and stone chenille squares in a grid as shown below. Next place the 9 four-patch units in the designated rows. Now all you need to do is fill in with the 8″ print squares, arranging them as desired. A little note for those of you that like to follow the recipe just as it is in the book: Keep in mind that the second diagram of the quilt below was drawn on computer before I had the actual fabrics in my hand – so the fabric swatches are for design purposes only and don’t represent the actual placement of those fabrics in my quilt. 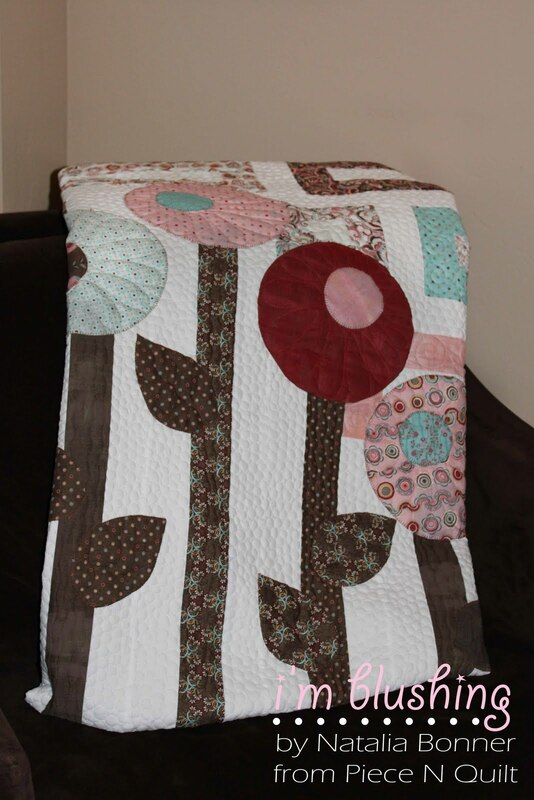 Refer to the photo of the “real” quilt above if you like how it looks and don’t want to stress over fabric placement. Whew! I feel much better getting my disclaimer all out in the open! 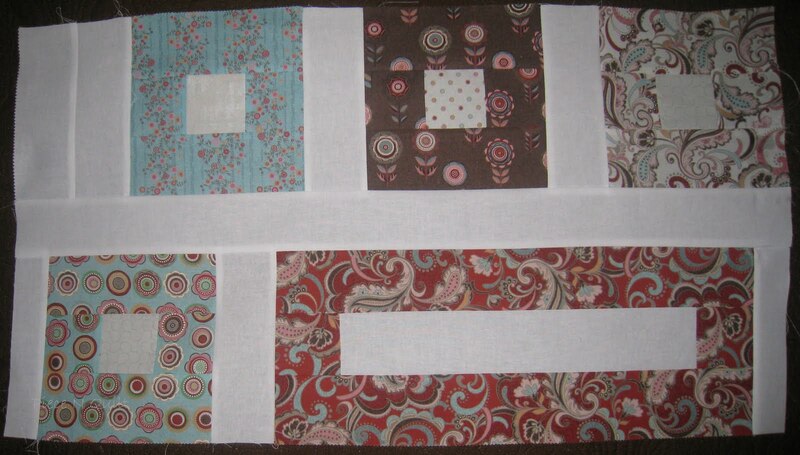 Step 11: Sew the blocks into rows, then join the rows together. 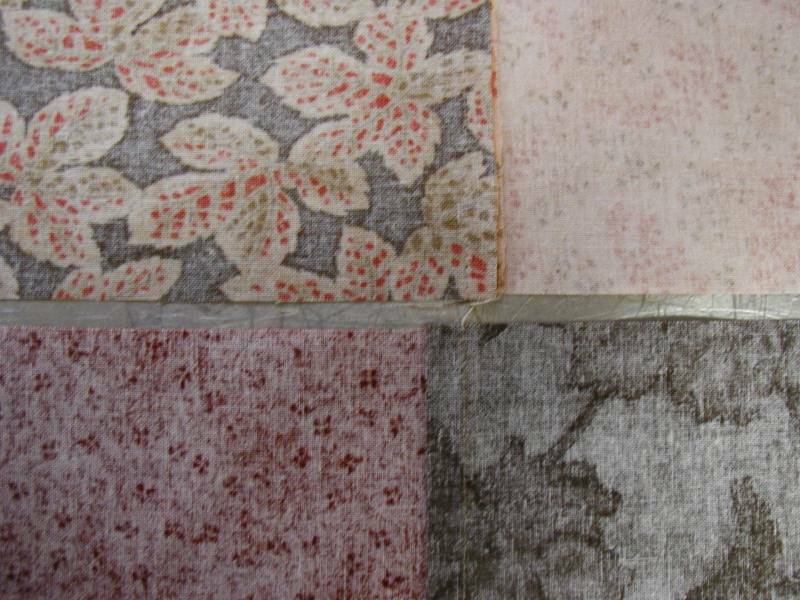 It is helpful to press all seams towards the print blocks as the seams will naturally want to fold away from the chenille fabrics. Step 12: Layer the backing, batting, and quilt top. Step 13: Use six-strands of embroidery floss to tie a knot through all layers at the corner of each block. It will be easiest to run your needle through the corners of the chenille fabrics as all seams should be pressed away from these blocks. 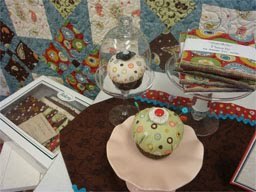 Take a stitch through all layers of quilt, batting, and backing. Tie floss in a double knot. Step 14: Cut either bias or straight grain binding, depending on the look you want. 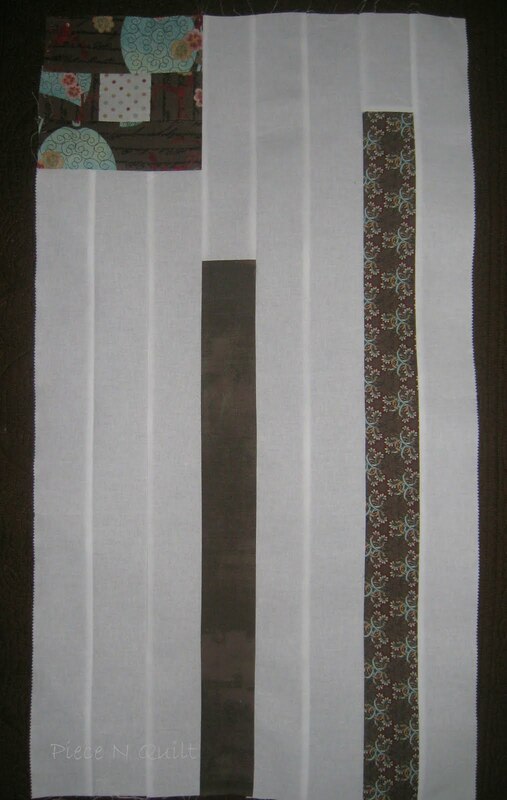 I cut 2 1/2″ wide strips from a chocolate brown stripe to total at least 300″ in length. 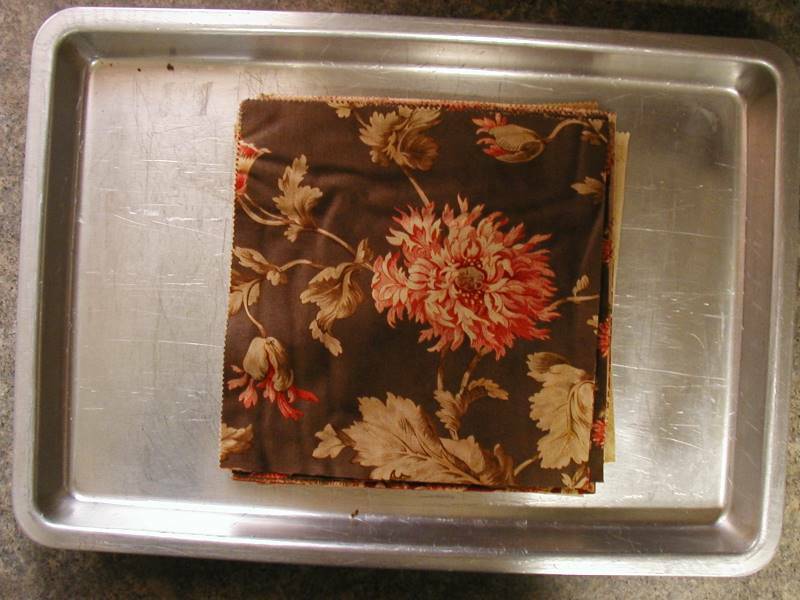 Fold binding in half lengthwise, with wrong sides together. Press. 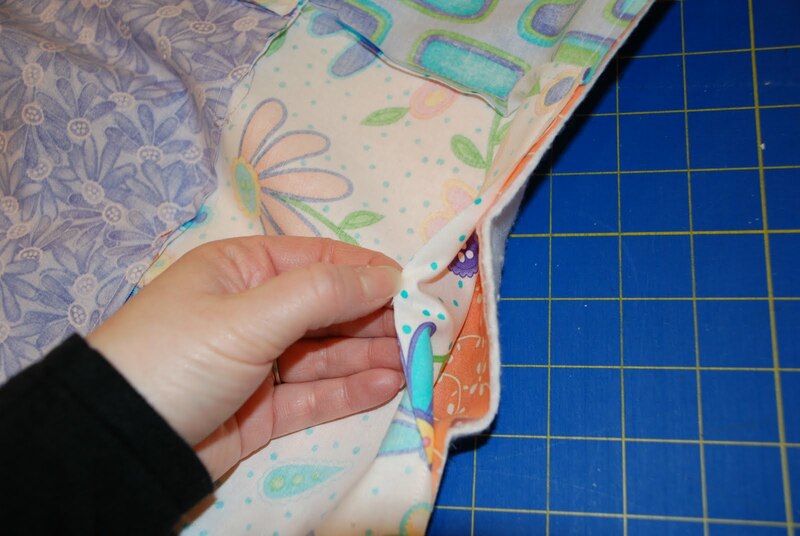 Sew raw edges to quilt, mitering corners. 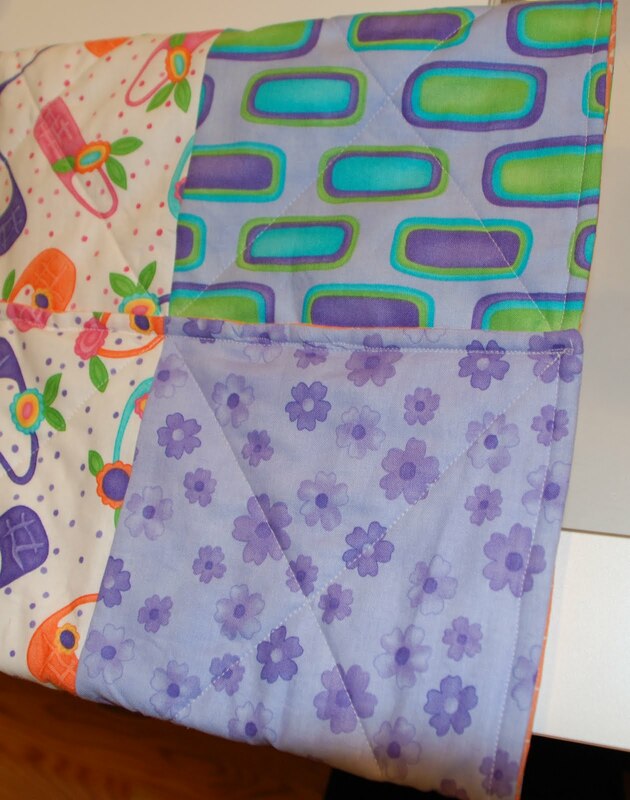 Bring folded edge to back of quilt. Hand tack in place. 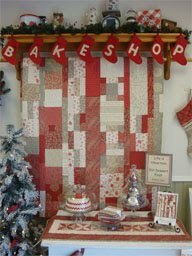 Step 15: Cuddle up on the couch and enjoy browsing through the other Moda Bake Shop patterns to plan your next project. 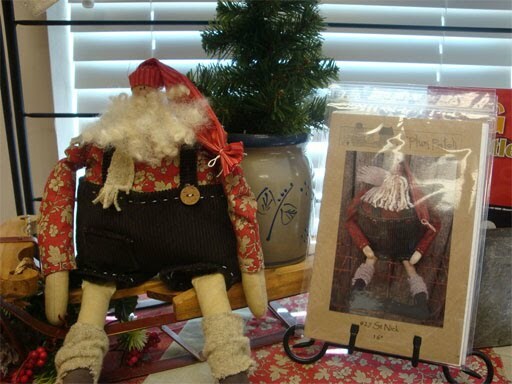 Feel free to e-mail me at prairiepointjunction@yahoo.com if you have any questions. 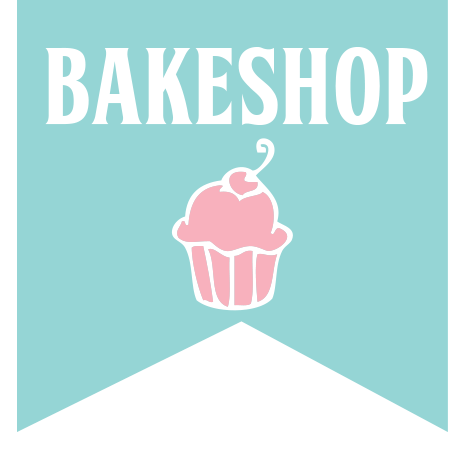 Please put “Moda Bake Shop” in the subject. Hope you enjoy this simple pattern that showcases my favorite chenille fabric ever.